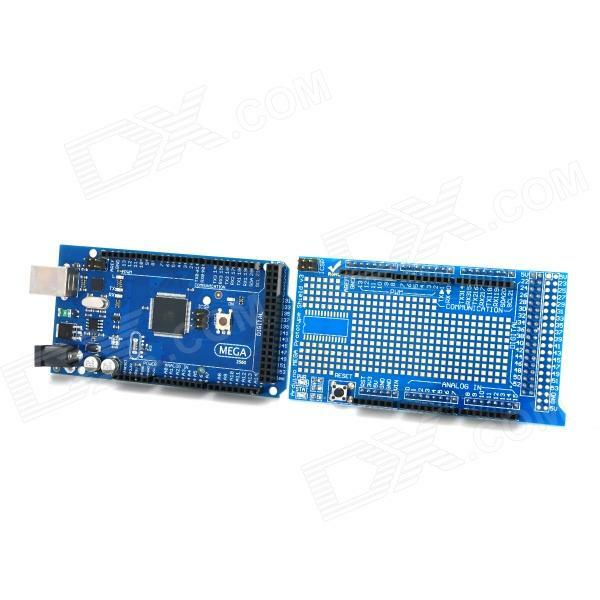 Description : .Today we would like to recommend this LPC1768 ARM Cortex-M3 Microcontroller Motherboard to you. It can be used to generate and test application programs for the Cortex-M3 microcontroller family. This microcontroller motherboard introduces LPC1768 ARM Cortex-M3 processor-based devices, allowing you to create and test working programs for this advanced architecture; it has a wide range of interfaces making it a great starting point for your next Cortex-M3 project. With this hands-on process, you can determine the hardware and software requirements for current and future product development. Come to order one now!. 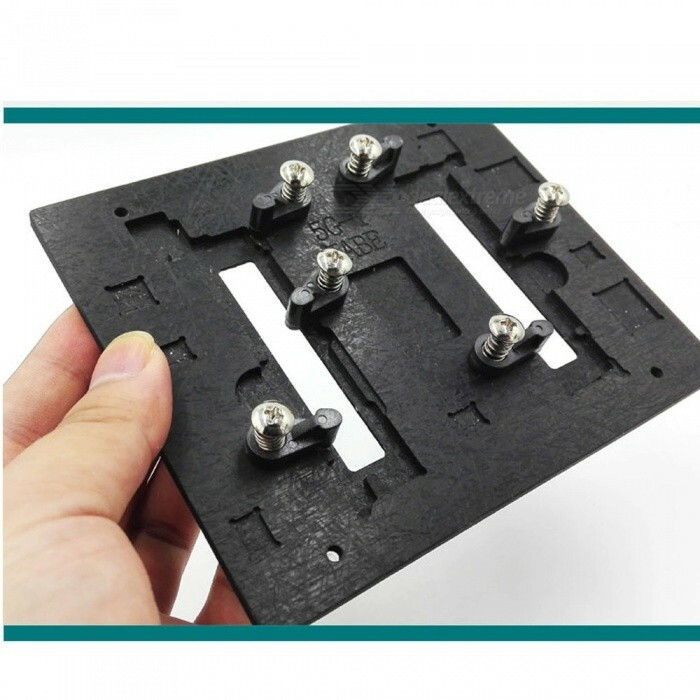 Description : .This module can be used in both Chitu motherboard, and other open 3D Printer motherboards. 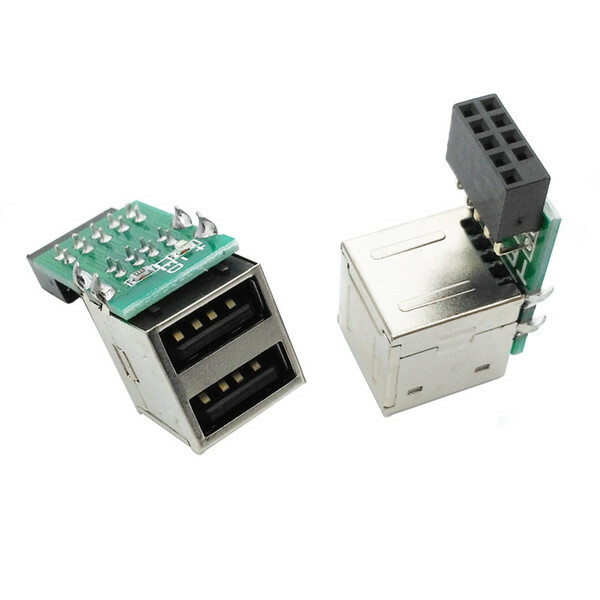 This high power module helps your 3D printer equipped with the Chitu controller board (capable of max 15A) become even more powerful. 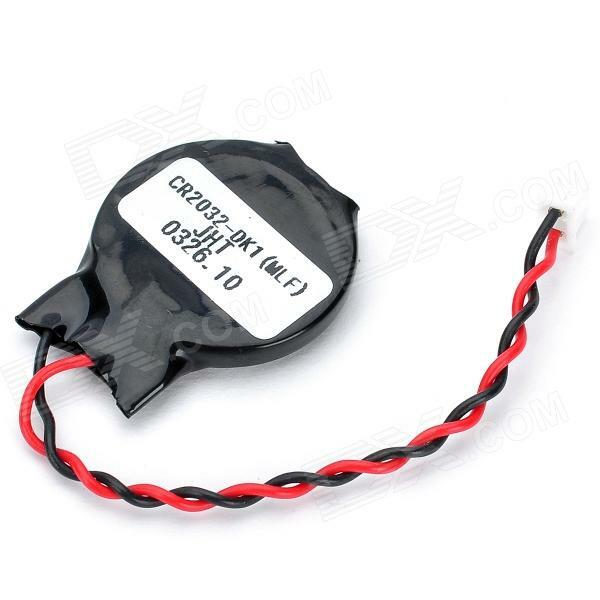 With this addon module to your Chitu board you can lead the maximum current up to 25A If you intend to use heated bed with your 3D printer that uses a 12V power supply, then this module is recommended, else it may cause excessive current during times which may burn the connectors on the controller board Note: This module under the premise of normal cooling, found at I (Max) = 25A stable work situation, the process of using the current not exceed 25A. 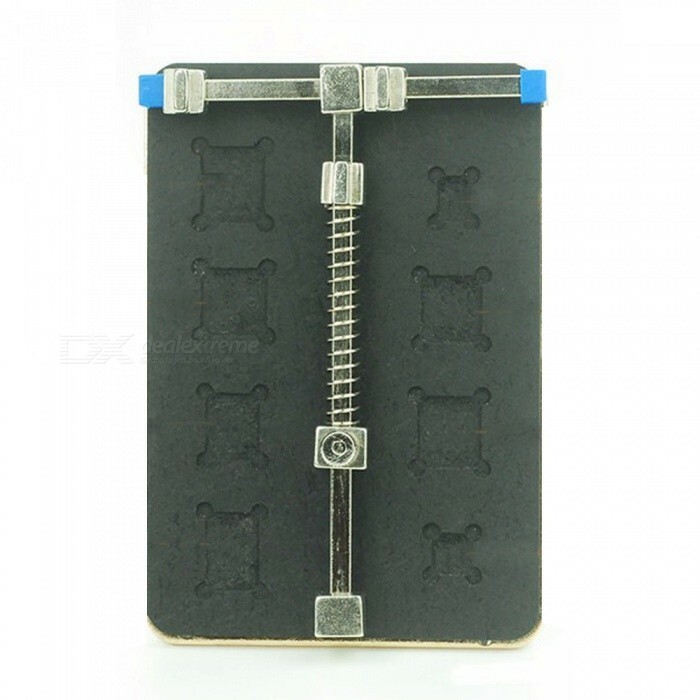 Description : .The Motherboard Circuit Board PLCC IC Extractor Puller Tool helps to easily remove PLCC chips and sockets, definitely a useful tool in electronic repairing! 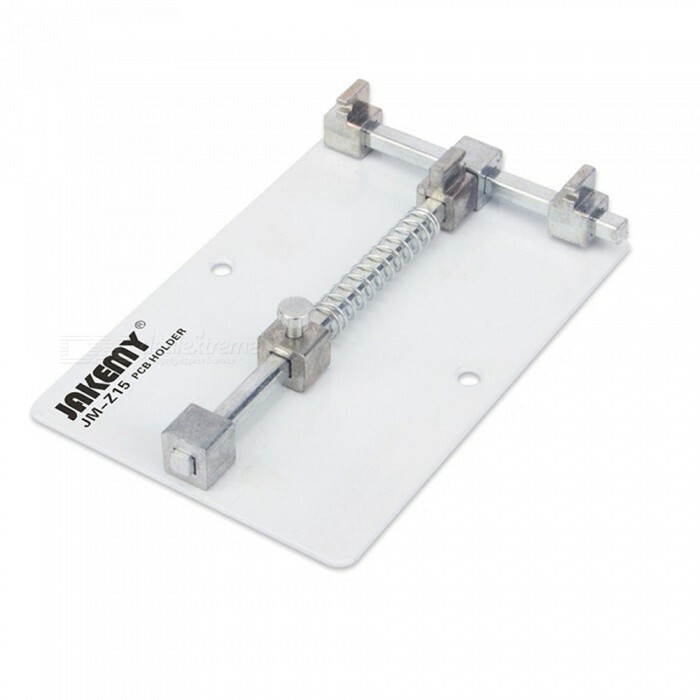 Built with spring mechanism, it reduces hand fatigue and permits single hand operation. 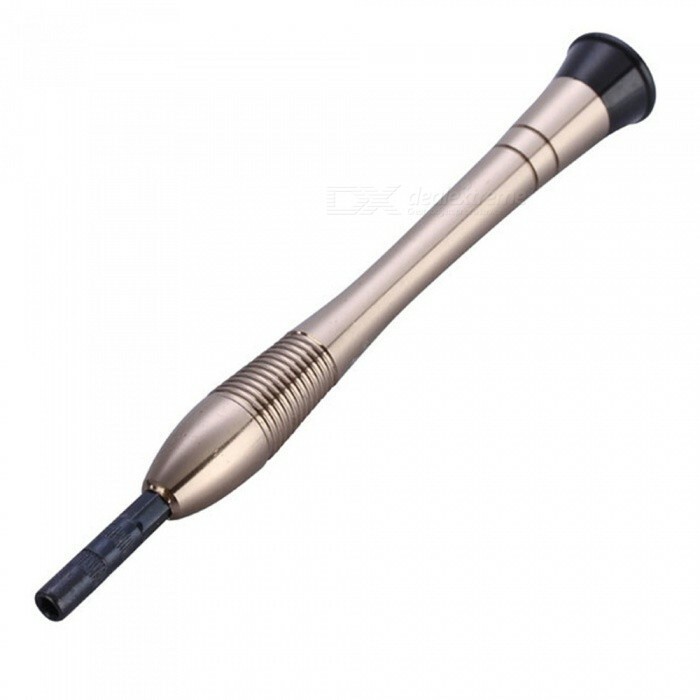 The soft, ergonomically designed handles provide a non-slip grip to prevent lead or pin damage. 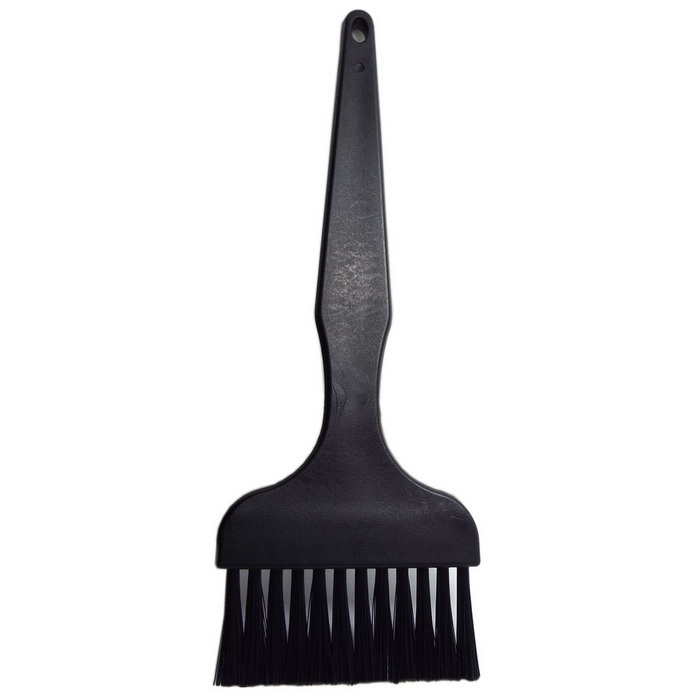 Crafted from high-grade carbon steel, it resists wear and corrosion and thus is durable for long-term use. It surely is worth your investment! DonÂ´t hesitate any more!. 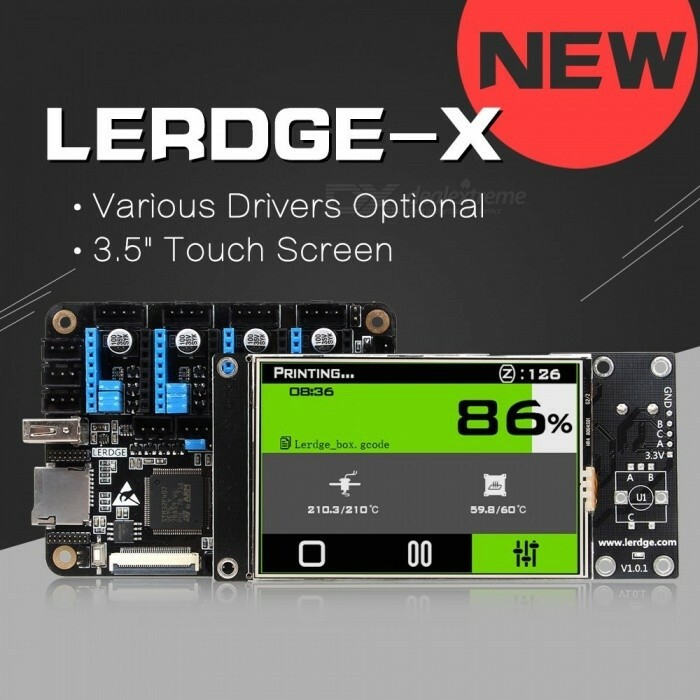 Description : .LERDGE-X 3D Printer Controller Board For Reprap 3D Printer With TMC2208 Drive Motherboard And 3.5 Inches Touch Screen. 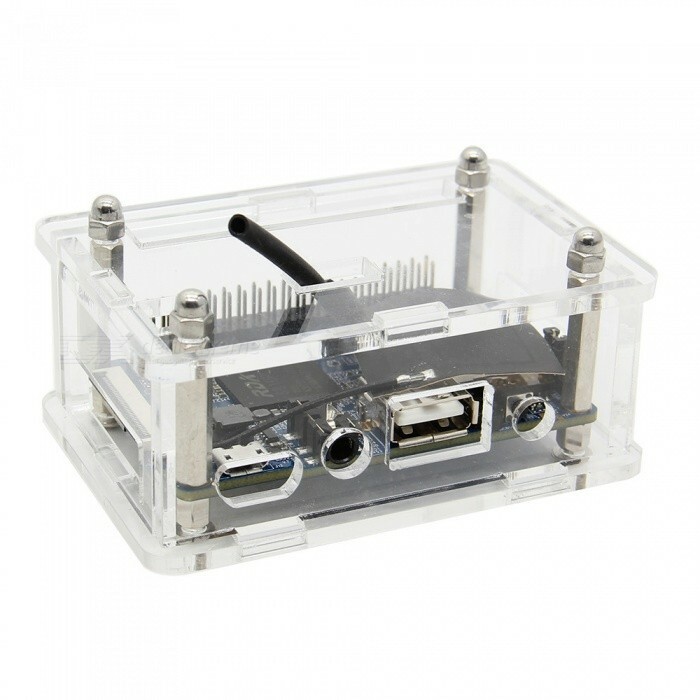 Description : .Geekworm Orange Pi 2G-IoT Acrylic Clear Transparent Case Enclosure / Protective Shell for Orange Pi 2G-IoT Motherboard. 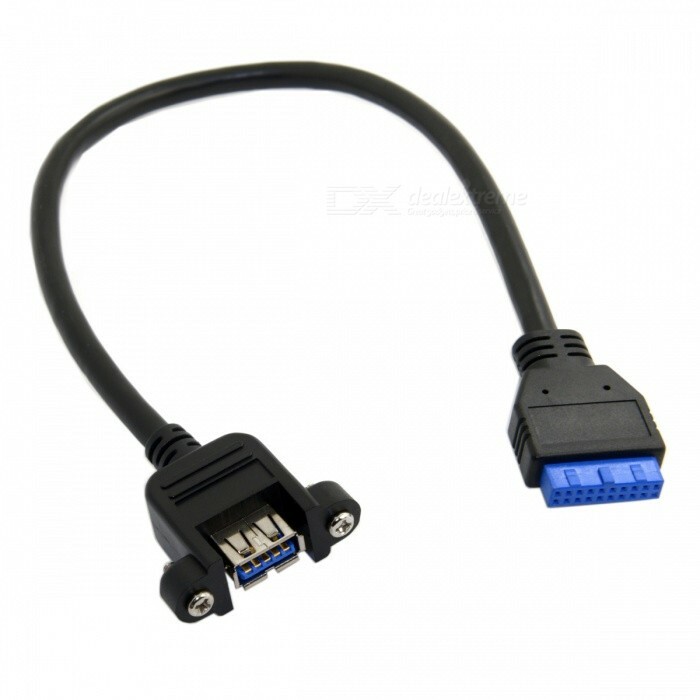 Description : .Kitbon 2- Port USB 2.0 to Motherboard 9-Pin Adapter Cable (30cm). 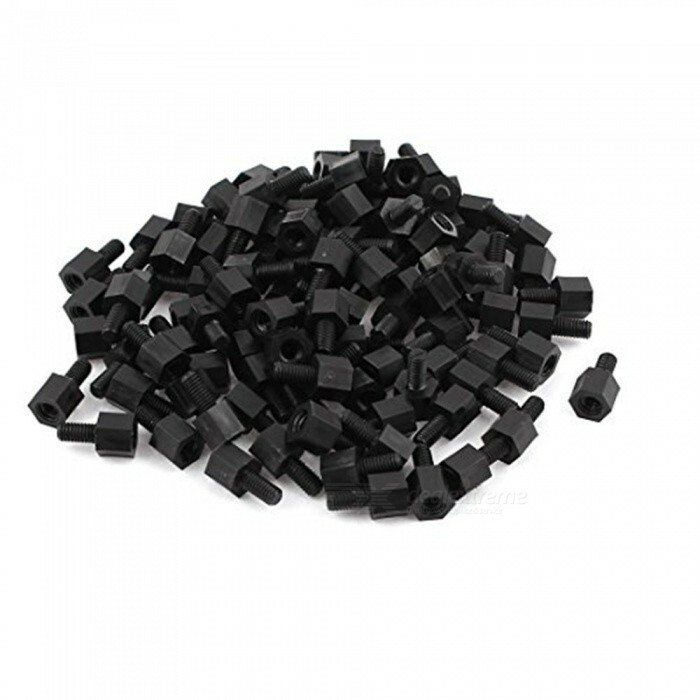 Description : .BTOOMET Motherboard Nylon Hex Standoff Threaded Spacer M3 Thread 6+6mm 100Pcs. 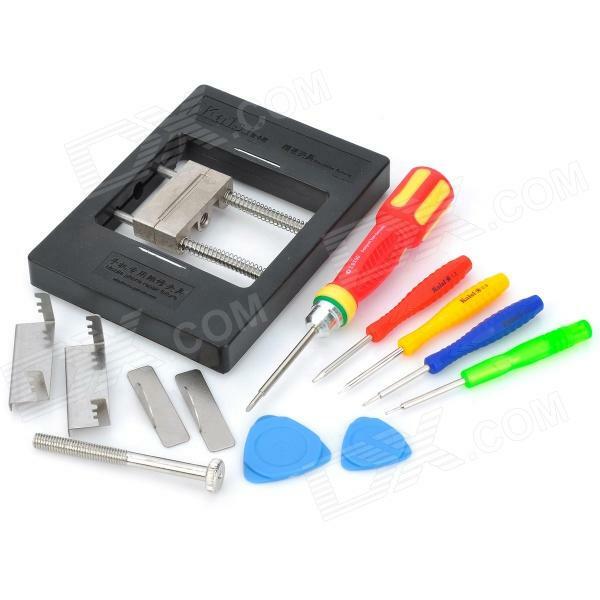 Description : .Kaisi KS-1200 Precision BGA Fixture / Motherboards Clamp w/ Screwdrivers - Red + Black. Description : .Apple IPHONE Motherboard Fingerprint Fly Box Set - Purple. 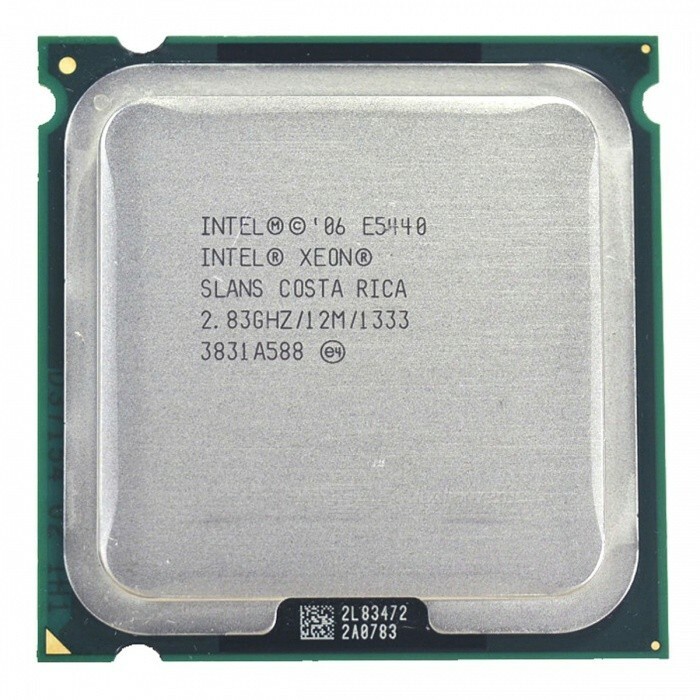 Description : .Intel Xeon E5440 2.83GHz 12MB Quad-Core CPU Processor Works on LGA775 Motherboard. 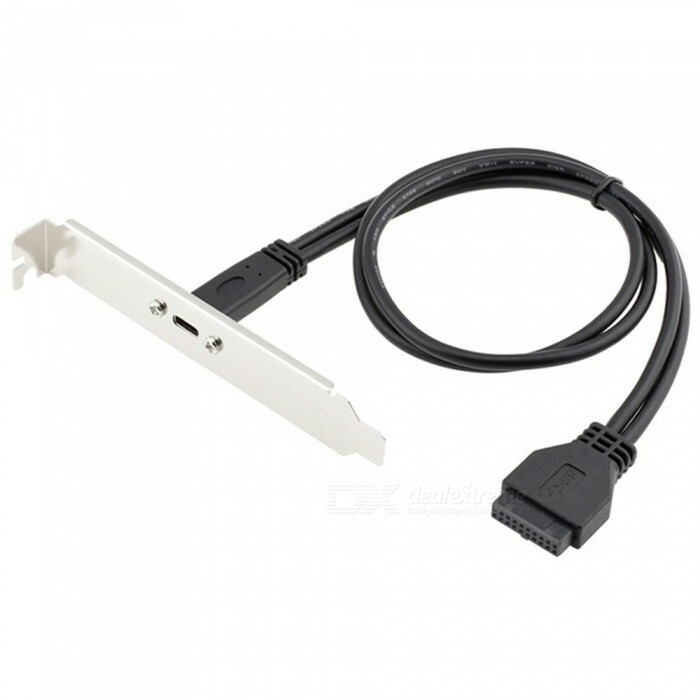 Description : .Cwxuan 2 Port USB 3.0 Female Back Panel To Motherboard 20pin Header Connector Cable Adapter With PCI Slot Plate Bracket. Description : .LERDGE-X 3D Printer Controller Board For Reprap Motherboard With ARM 32Bit Mainboard Control, 3.5 Inches Touch Screen Black. 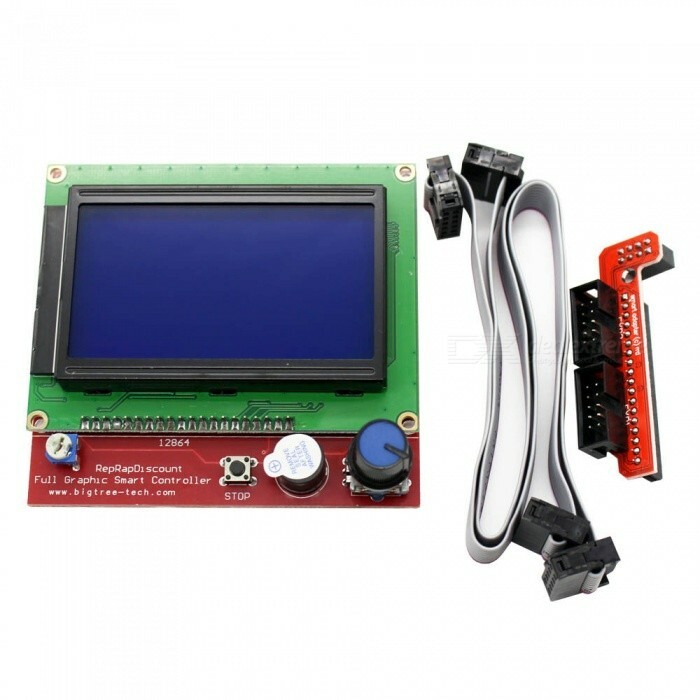 Description : .LERDGE-X 3D Printer Controller Board For Reprap 3D Printer With A4988 Drive Motherboard And 3.5 Inches Touch Screen Black. Description : .LERDGE-X 3D Printer Controller Board For Reprap With XYZ External A4988 Drive Motherboard, 3.5 Inches Touch Screen Black. Description : .LERDGE-X 3D Printer Controller Board For Reprap 3D Printer With TMC2208 Drive Motherboard And 3.5 Inches Touch Screen Black. 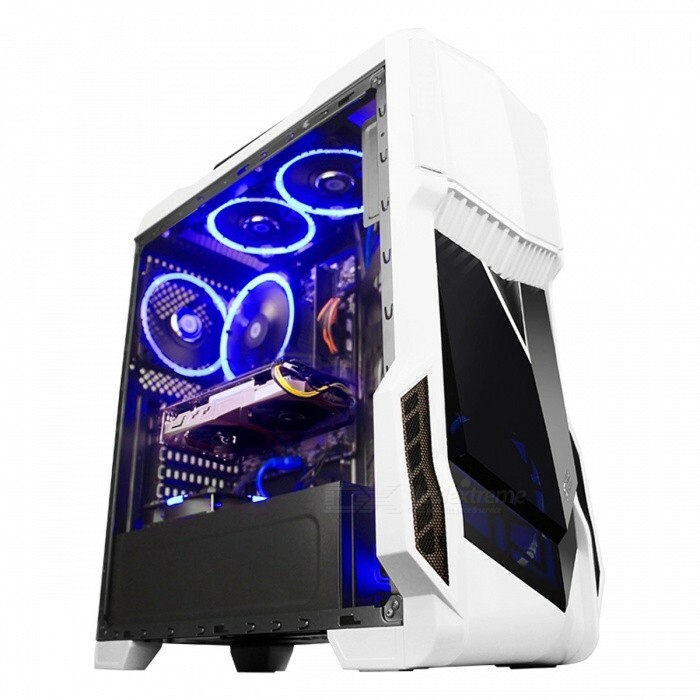 Description : .GETWORTH R5 Gaming PC Intel I5 7500 1050Ti 128GB SSD 1TB HDD Gaming Desktop, Gigabyte B250M Motherboard 8GB RAM Computer Case Win10 Home English. 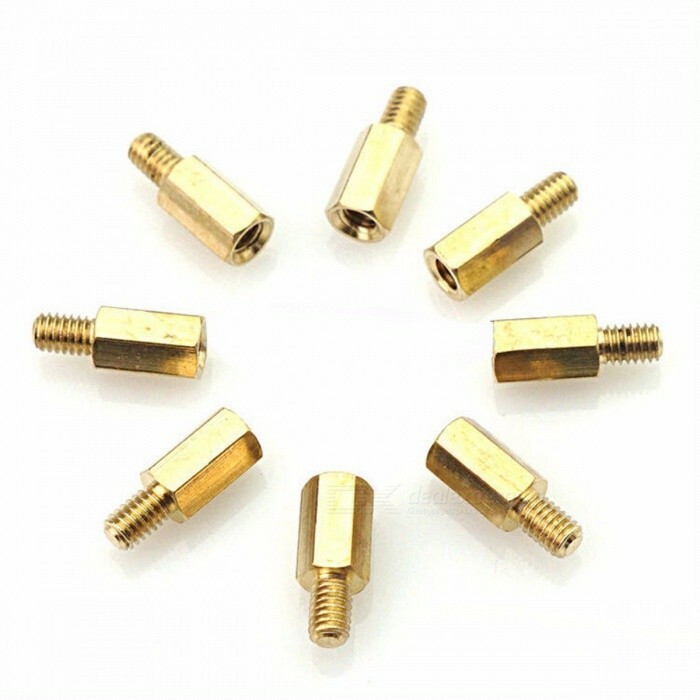 Description : .50Pcs HY028 M3x10+6 Hexagon Copper Screws Motherboard Riser, M3*10mm Hex Head Nut, Computer PC Repair Power Screw Washer Tool 50pcs. 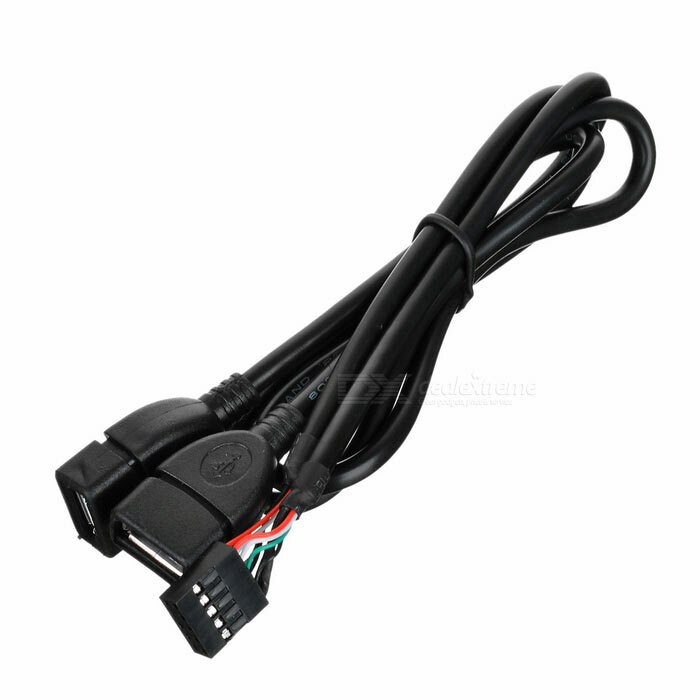 Description : .CY U3-162-BK USB 3.0 Dual Ports to Motherboard 20pin Cable - Black. 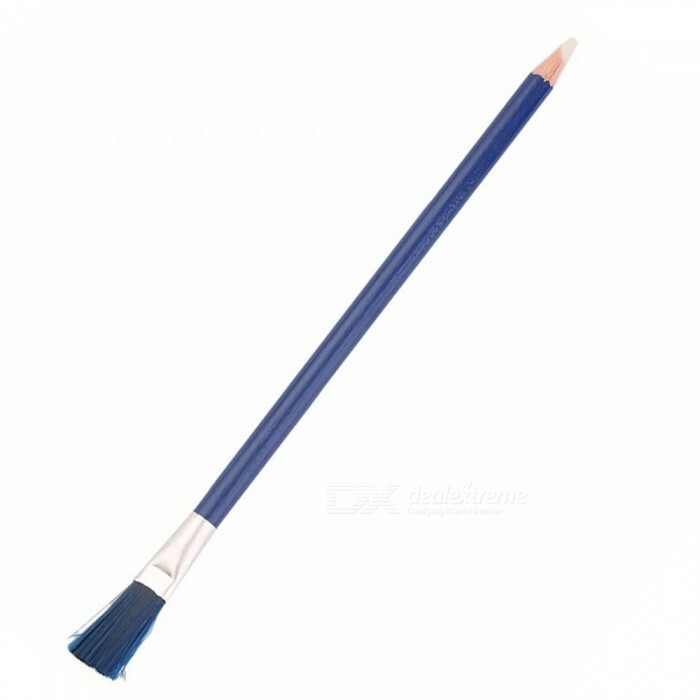 Description : .Motherboard / Keyboard / Etc Straight Shank Dust Brush (6*17 cm ). 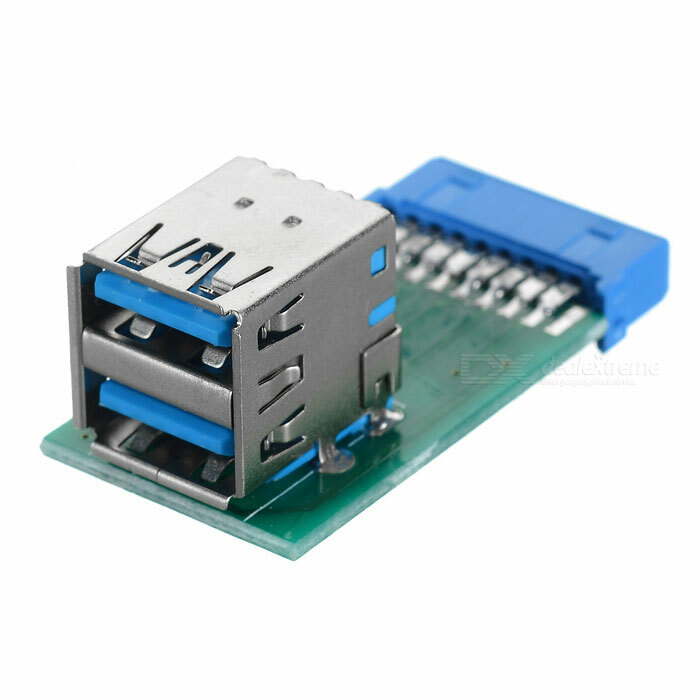 Description : .CY U3-280 Vertical USB 3.0 A to Motherboard 20Pin Adapter - Green+Blue. 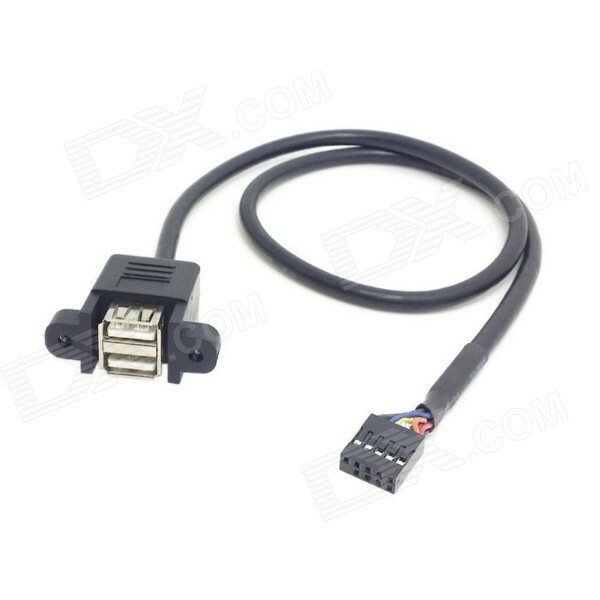 Description : .CY U2-329 10Pin Motherboard to 2-USB 2.0 Adapter Cable - Black (50cm). 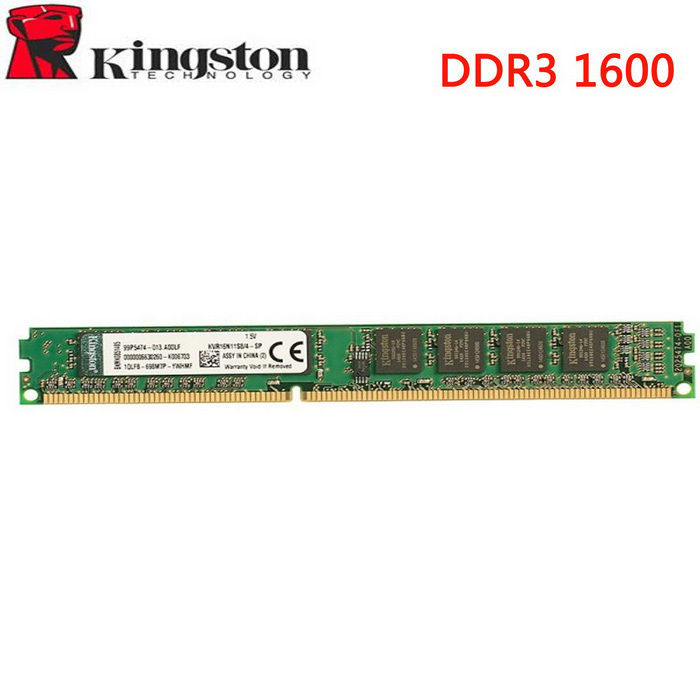 Description : .Kingston Original 1600MHz CL11 204pin SODIMM DDR3 Inter Memoria 1.35V RAM, Motherboard Memory for Laptop Notebook 1600MHz. 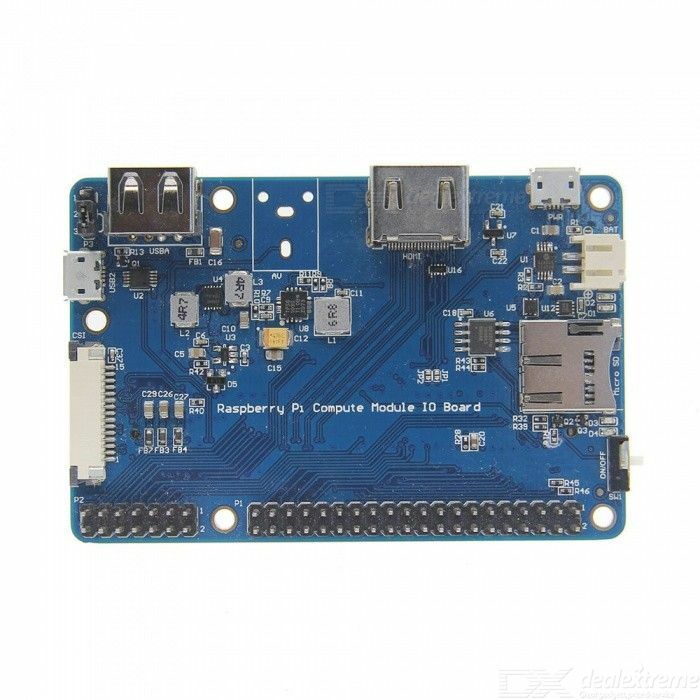 Description : .Geekworm Compute Module 3 CM3 Motherboard for Raspberry pi. 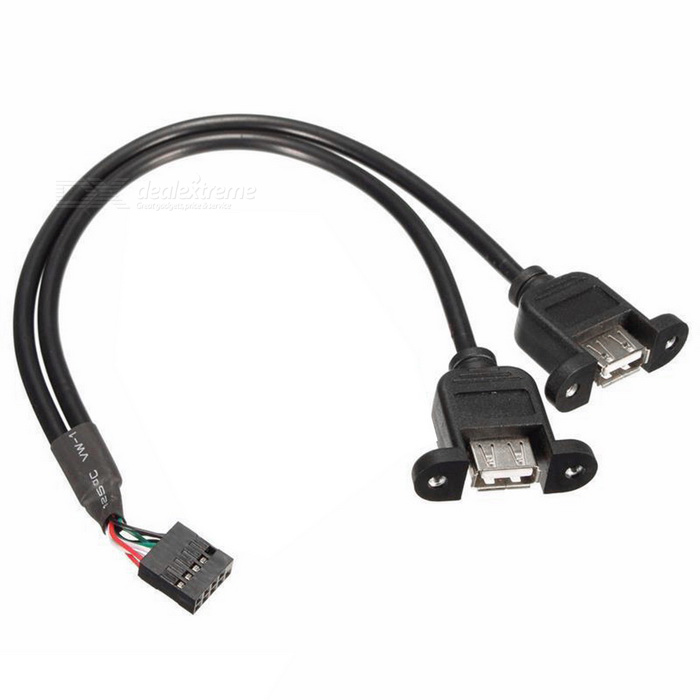 Description : .CY U2-256 Dual USB 2.0 A Type Female to Motherboard 9-Pin Header Cable w/ Screw Panel Holes - Black. 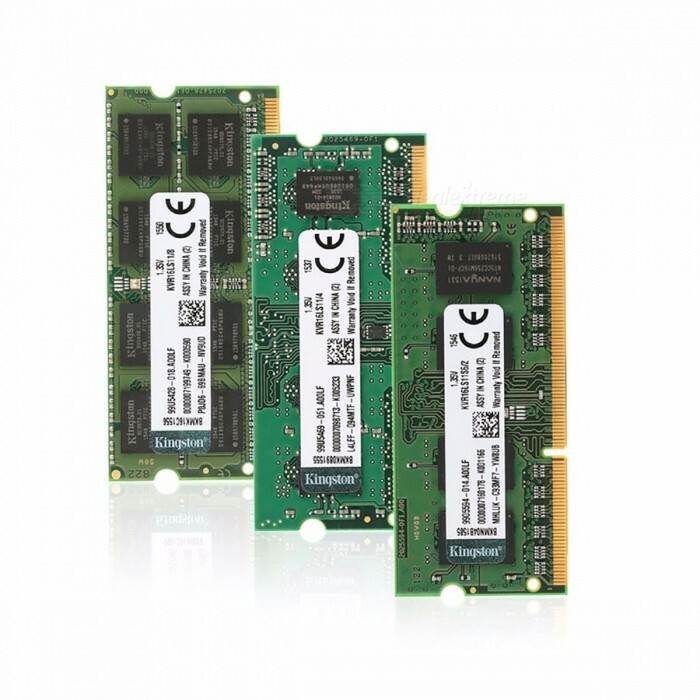 Description : .Kingston Value RAM KVR16N11/8 8GB Motherboard Memory. Description : .CY U3-038 4-Port PCI-E to USB 3.0 HUB PCI Express Expansion Card Adapter 5Gbps for Motherboard. 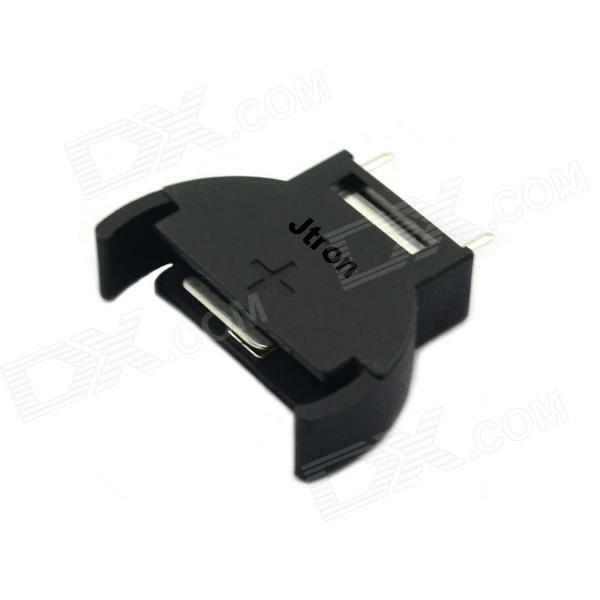 Description : .Jtron CR2032 / CR2025 Battery Holder / 3V Motherboard Battery Holder - Black (10 PCS). 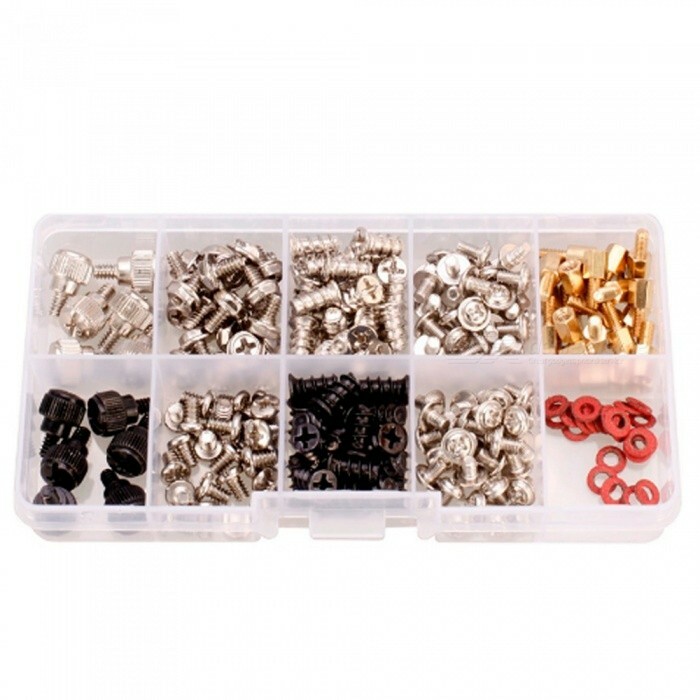 Description : .228PCS Computer Case Motherboard Fan Hard Drive Screw Assortment Kits. 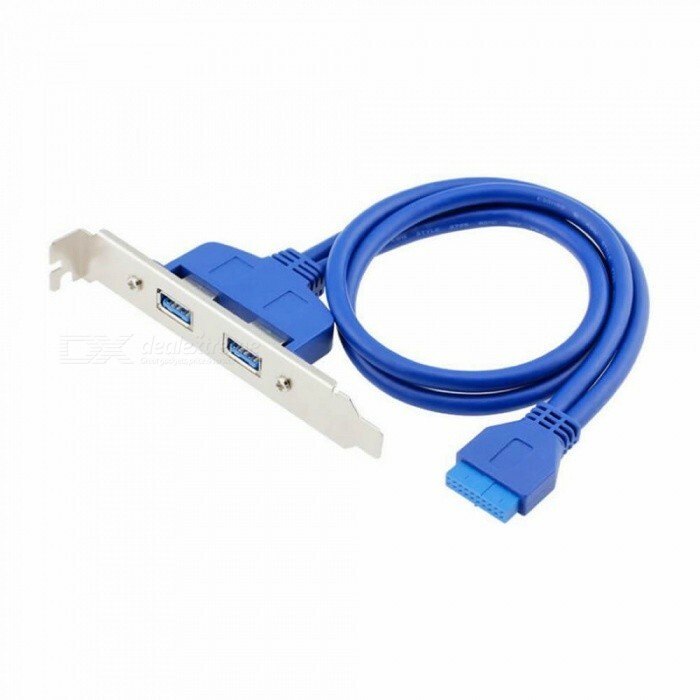 Description : .Cwxuan Motherboard 20pin to USB 3.1 Type-C Cable, 19 PIN USB3.0 to USB-C Adapter Card w/ PCI-e Long Profile Bracket. 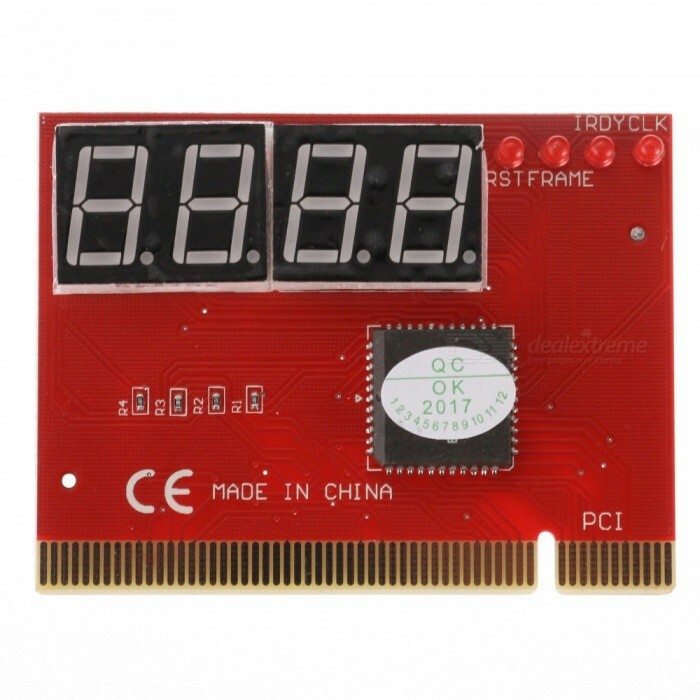 Description : .Computer PC 4-Digit Mainboard Motherboard Diagnostic Analyzer Tester PCI Card. Description : .ASUS Original Motherboard B75M-PLUS DDR3 LGA 1155 Support I3 I5 I7. 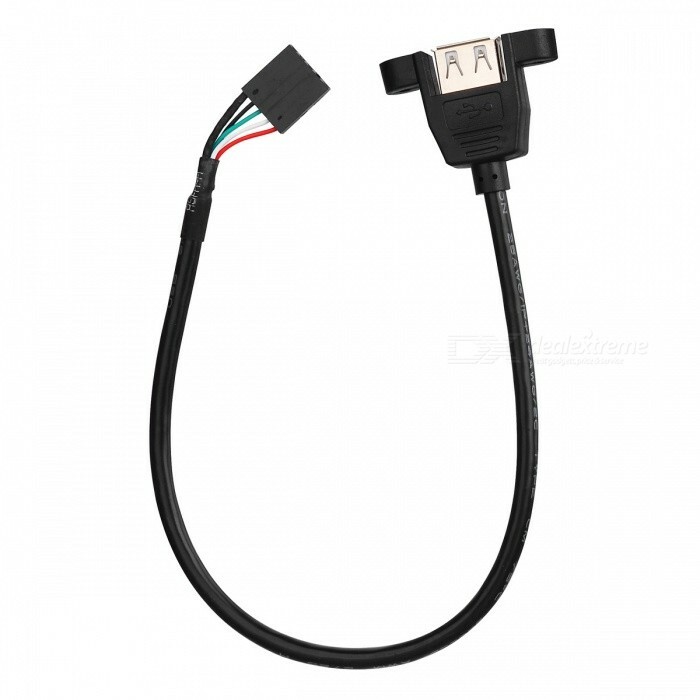 Description : .CY U3-384-BK Screw Mount Type USB 3.0 Single Port A Female to Up Angled Motherboard 20pin Header Cable (25cm). 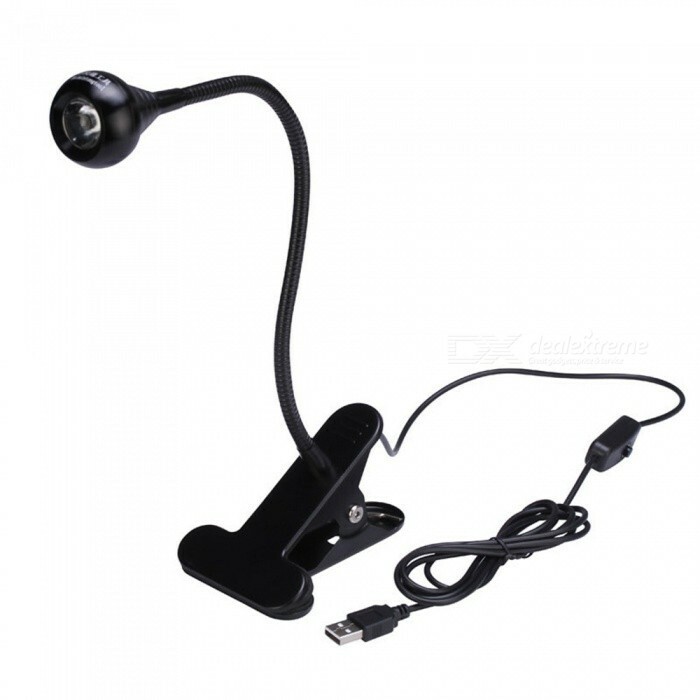 Description : .OJADE 5V USB UV Glue Curing Lamp w/ Clip for IPHONE IAPD Motherboard Mainboard Chip IC BGA Repair. 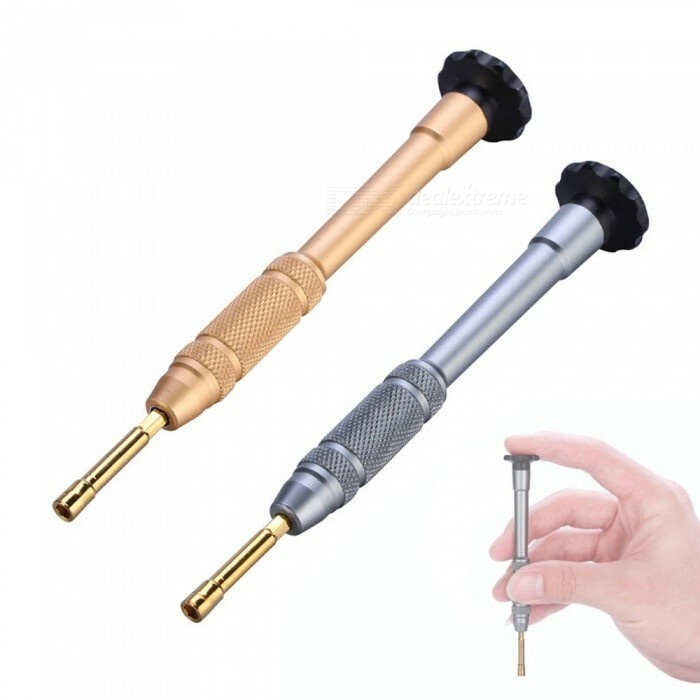 Description : .OJADE 2Pcs High Precision 2.5mm Hex Screwdriver for IPHONE 6S Motherboard. 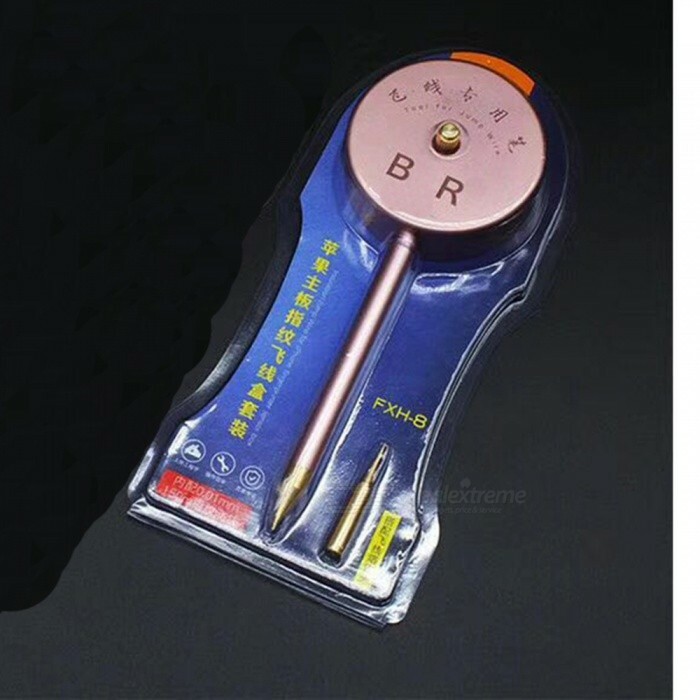 Description : .Precision 2.5mm Hexagon Hex Socket Head Screwdriver For iPhone 6s 6S Plus Motherboard Hex Screw Opening Repair Tools. Description : .OJADE Mobile Phone Motherboard Cleaning Brush, Tablet Laptop PCB BGA Cleaning Repair Tool. 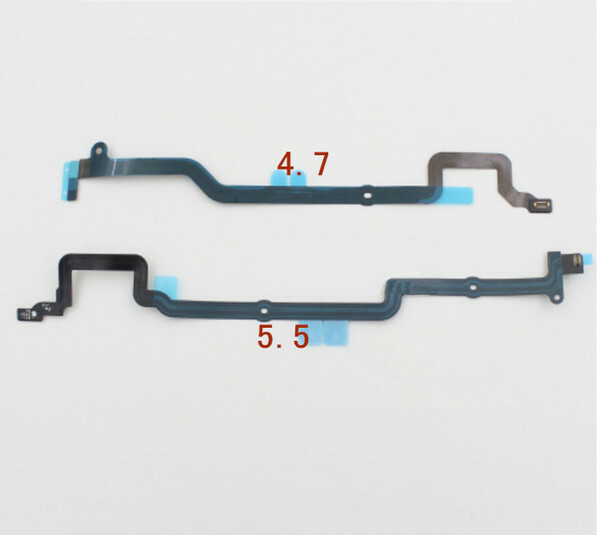 Description : .OJADE PCB Circuit Board Holder Clamp Repair Fixed Motherboard Platform for MP3 Mobile Phone. 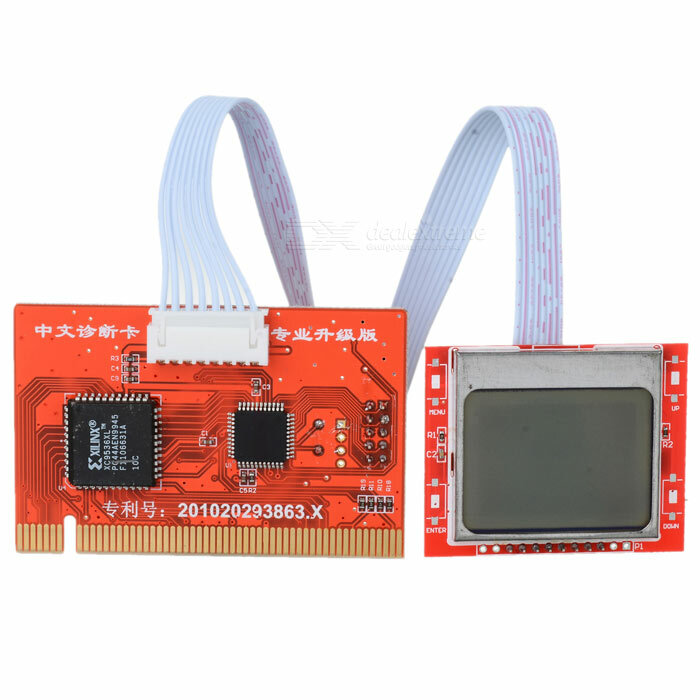 Description : .PTi8 Mini PCI-E / Mini PCI / LPC Motherboard Diagnostic Card w/ Dual 1.7" LCD Display - Red + Black. 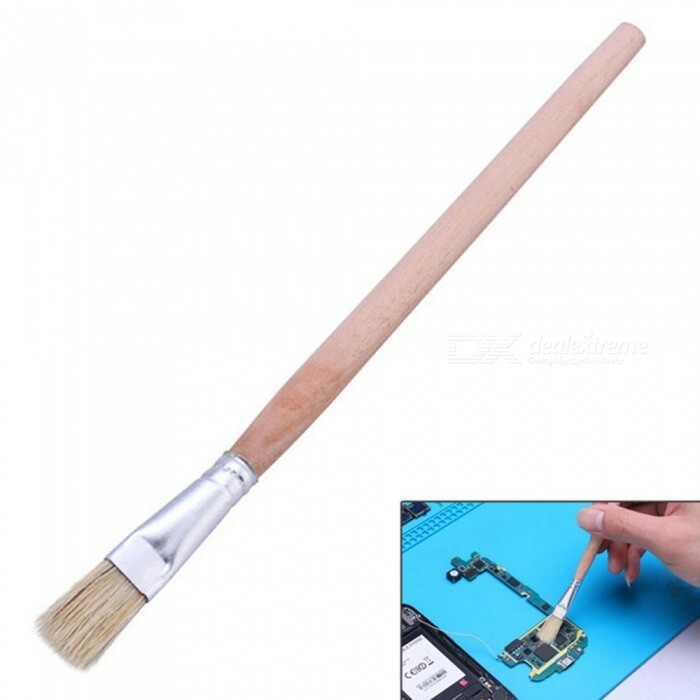 Description : .OJADE Clean Brush Mini Pen Derust Rust Removal Repair Tool for Mobile Phone Computer PC Of Motherboard. 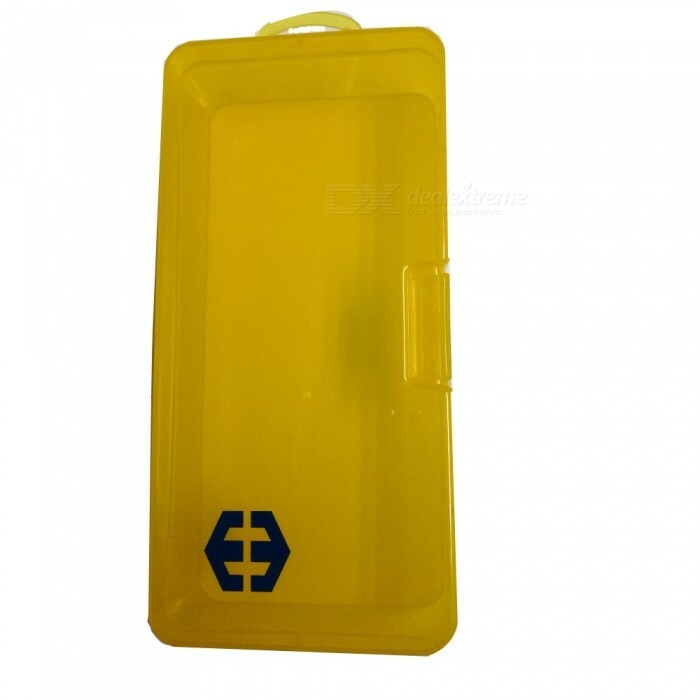 Description : .OJADE Mobile Phone Repair Part Turnover Box, Assembly Motherboard Screw Storage Case. Description : .ZHAOYAO 12864 LCD Ramps Smart Parts, RAMPS 1.4 Controller Display Monitor Motherboard Blue Screen for 3D Printer. 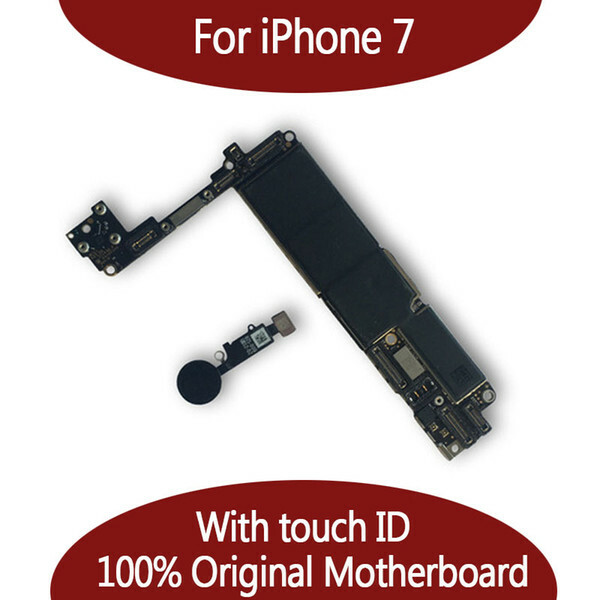 Description : .OJADE Fixture Motherboard, PCB Circuit BGA Chip Repair Logic Board Mould for IPHONE. Description : .OJADE Logic Board BGA Repair Tool, Planting Tin Fixture Motherboard IC Chip Ball Soldering Net for IPHONE X. 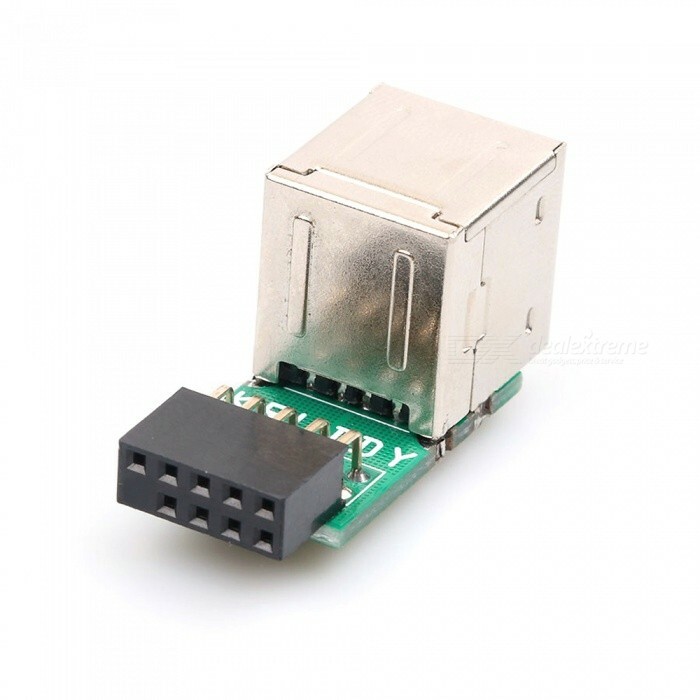 Description : .Dayspirit USB 2.0 9Pin Female 2-Port A Female Adapter Converter Motherboard PCB Board Card. Description : .D1213 Mega ATMEGA 2560 Motherboard w/ Expansion Board + Bread Board + USB Cable + LED for Arduino. 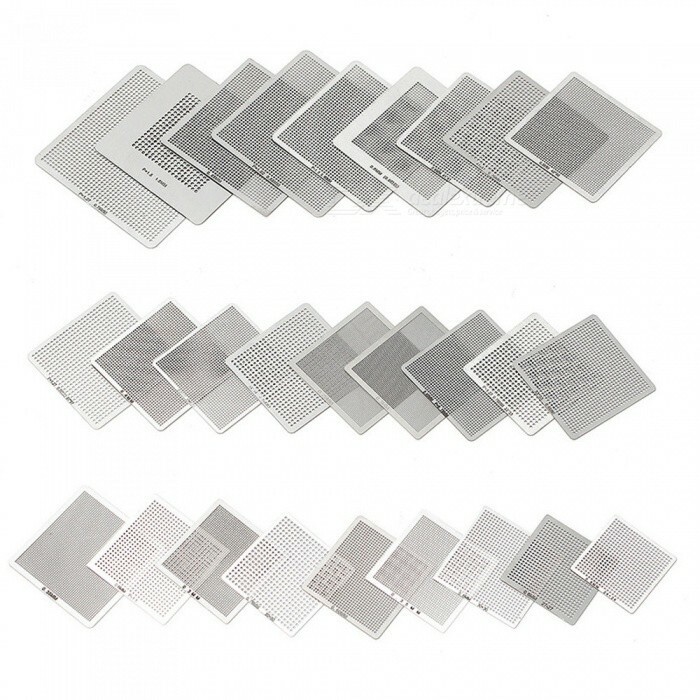 Description : .Heated Stencils BGA Notebook Desktop Direct Stencil Universal Motherboard Welding Supplies - 27PCS. 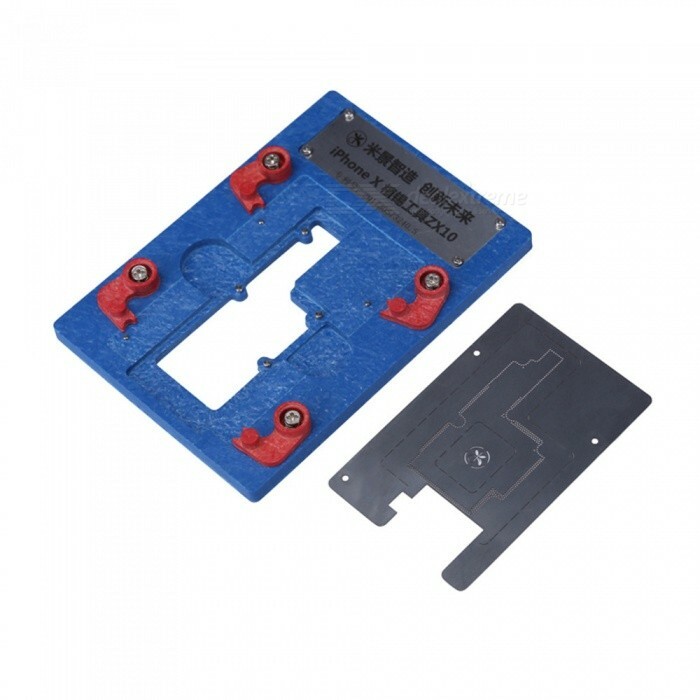 Description : .OJADE Multifunctional Phone Motherboard Repairing Clamp Circuit Board with IC Chip Groove. Description : .3D Printer Controller Board for Reprap 3D Printer Motherboard with ARM 32Bit Mainboard Control, 3.5" Touch Screen. Description : .Laptop Motherboard PLC/CMOS CR2032 Li-ion Button Battery. 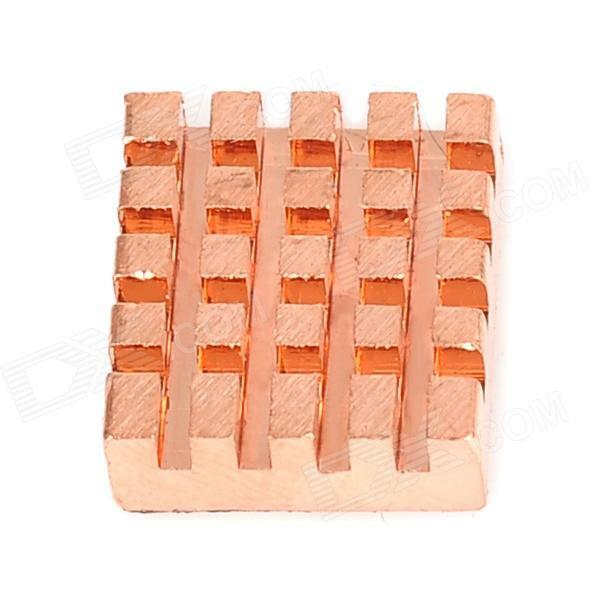 Description : .Copper Heat Sink for Raspberry Pi Motherboard - Red Copper. 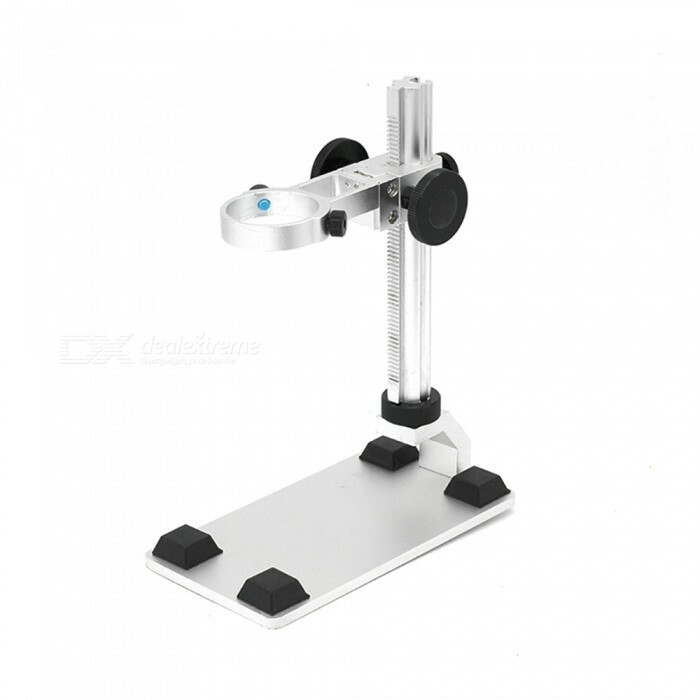 Description : .ZHAOYAO 1-600x 3.6MP USB Digital Electronic Microscope, 8 LED VGA Microscope with 4.3" HD OLED Screen for Pcb Motherboard Repair. 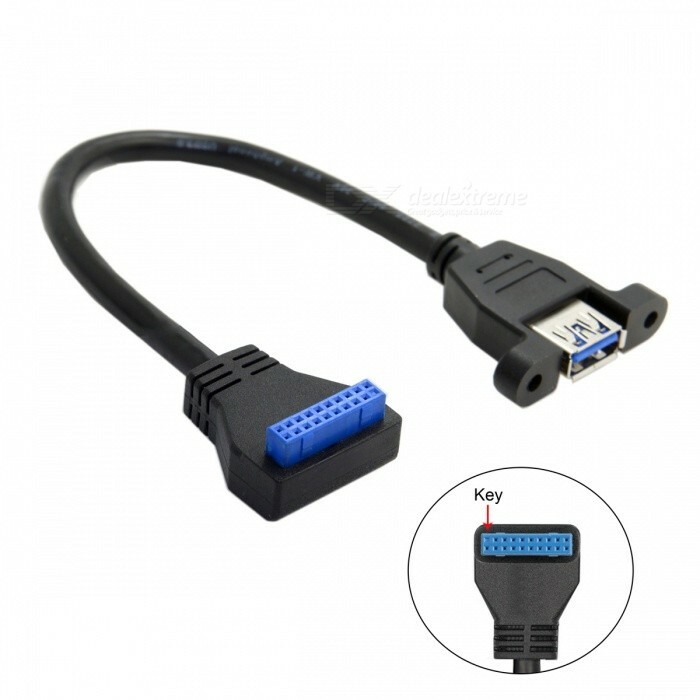 Description : .CY U3-384-DN USB 3.0 Single Port A Female Screw Mount Type to Down Angled Motherboard 20pin Header Cable. Description : .LERDGE-X 3D Printer Controller Board For Reprap Motherboard With ARM 32Bit Mainboard Control（LV8729 Drive ) Black. Description : .LERDGE-X 3D Printer Controller Board For Reprap Motherboard With ARM 32Bit Mainboard Control（DRV8825 Drive ) Black. 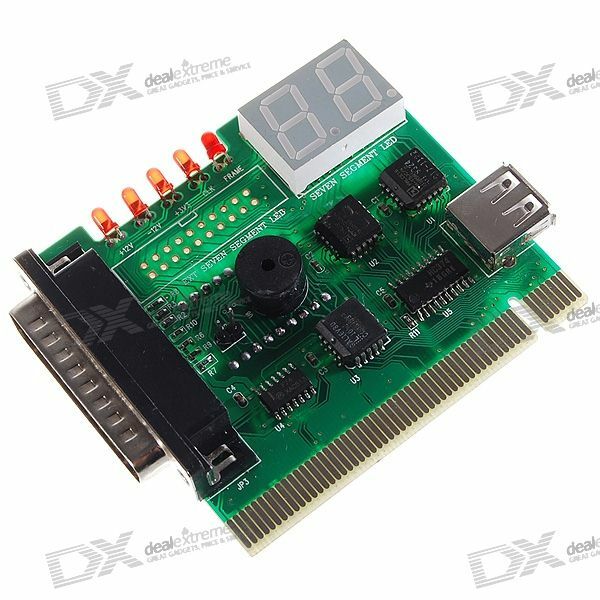 Description : .Diagnostic Test Card Motherboard Analyzer for PCI/LPT - Blue. 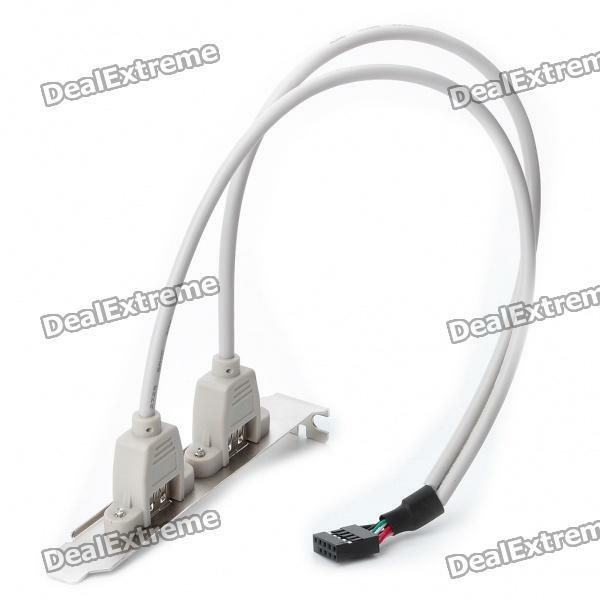 Description : .Dual USB Ports Motherboard Cable Adapter Rear Panel Bracket - White. 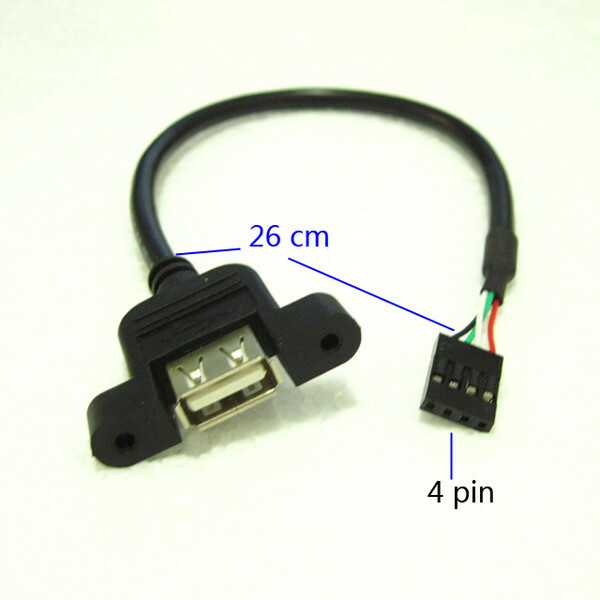 Description : .USB 2.0 Female to Motherboard 5 Pin Header Male Cable w/ Mount Holder (30cm). 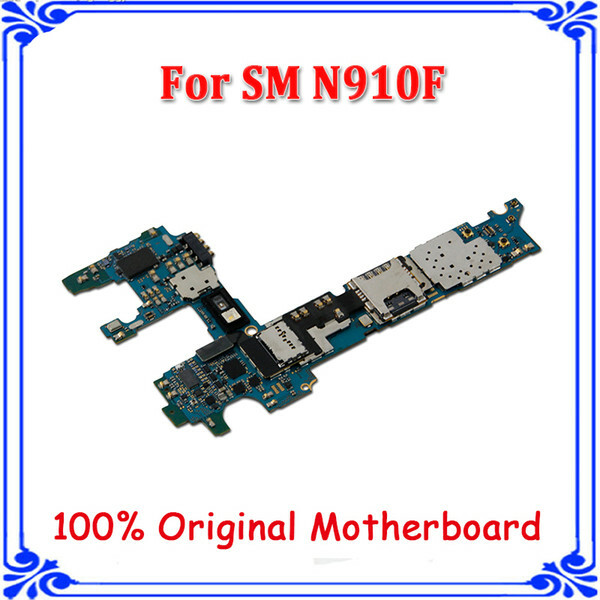 Description : .Original Motherboard For Samsung. 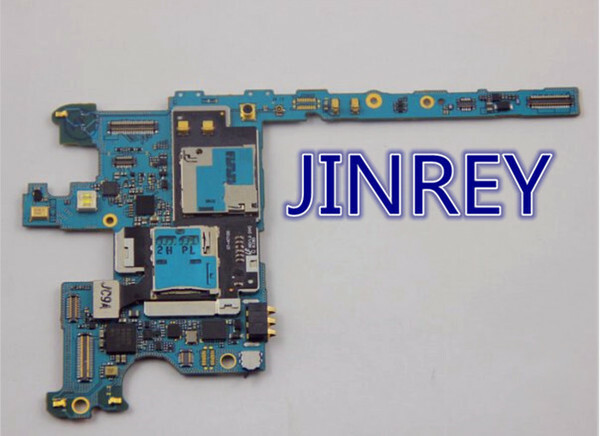 Description : .For iPhone 6 Plus Home Menu Button Flex Cable Ribbon Replacement Part Mainboard Motherboard Extended Connector For iPhone6 4.7 5.5 inch. 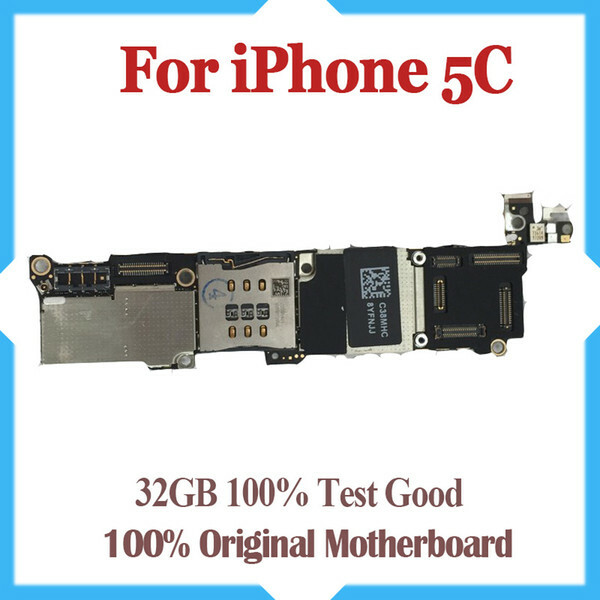 Description : .32GB 100% original motherboard for iphone 5C unlocked mainboard IOS system logic board good working main plate for Apple 5C. 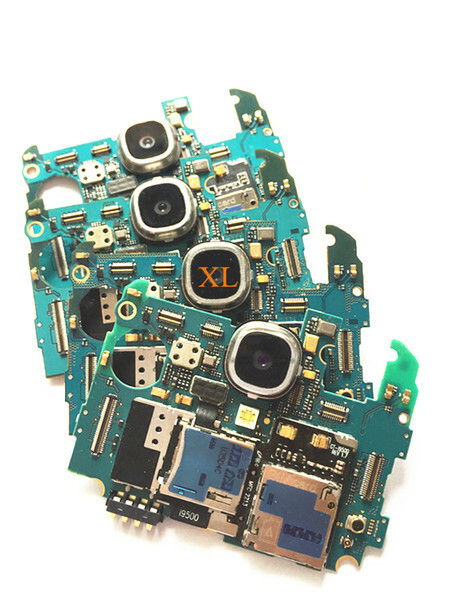 Description : .For LG G3 D855 Mainboard 100 % UNLOCKED ,Original for LG G3 D855 16GB Motherboard 100% Test. 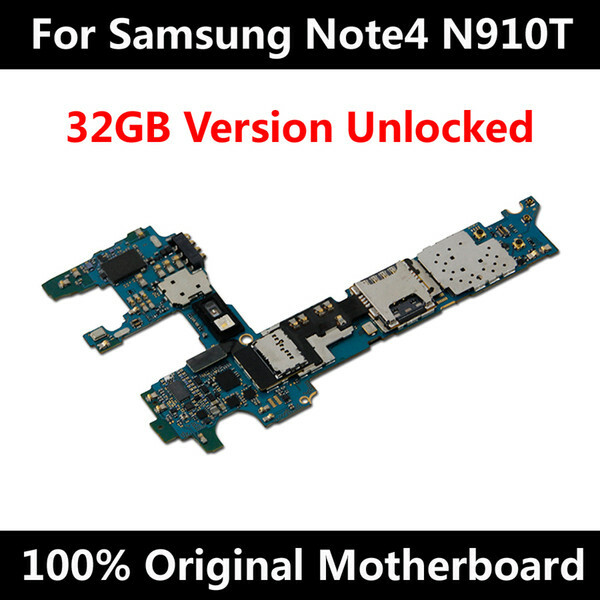 Description : .Samsung Galaxy Note 2 N7100 original unlocked logic board,europe version for Samsung N7100 motherboard with android system. 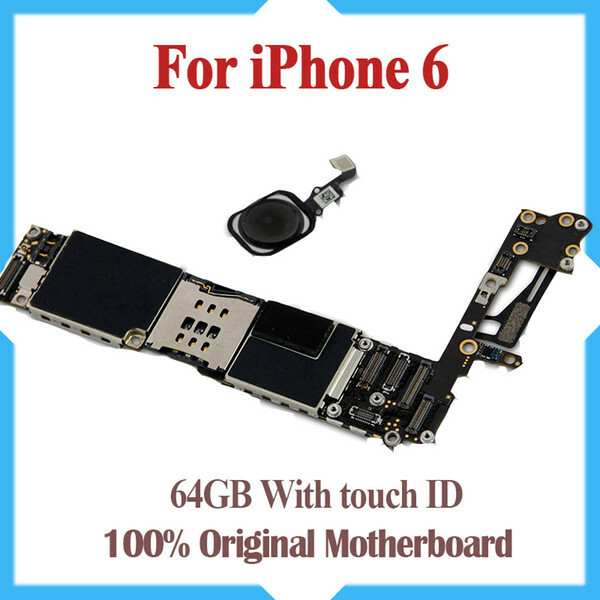 Description : .For iPhone 6S Plus 5.5inch 16GB Motherboard Factory Unlocked Mainboard No Touch ID With Original IOS Update Free Shipping. 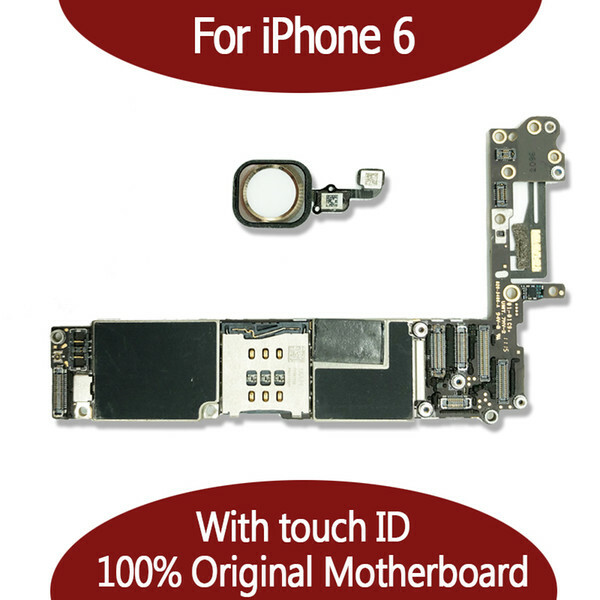 Description : .100% Original Unlocked,16gb 5s Mainboard without Touch ,for iphone 5s Motherboard Free Shipping. 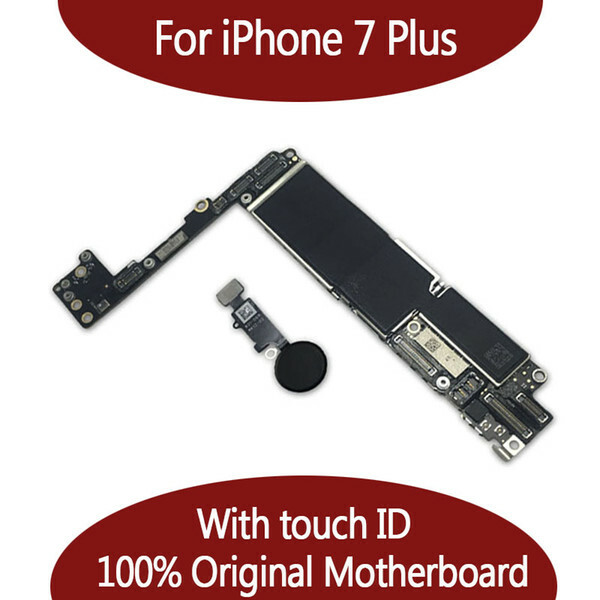 Description : .new logic PCB bare MAIN motherboard for iphone 6PLUS FREE SHIPPING NEW MOQ 1PCS/LOT. 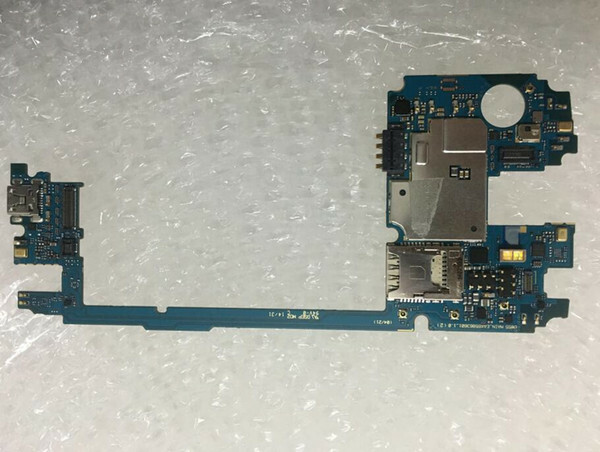 Description : .motherboard logic mainboard mainboard note 4.We offer the best wholesale price, quality guarantee, professional e-business service and fast shipping . You will be satisfied with the shopping experience in our store. Look for long term businss with you.. 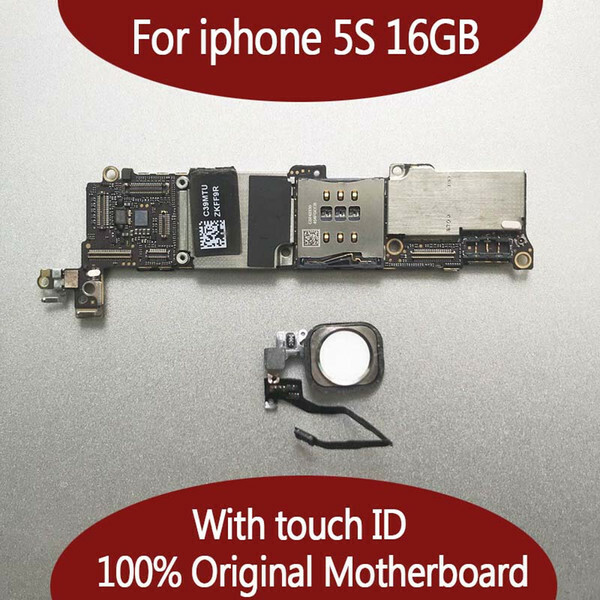 Description : .100% Original Unlocked,32GB 5s Mainboard with Touch ID,for iphone 5s Motherboard with Fingerprint Identification,Free Shipping. 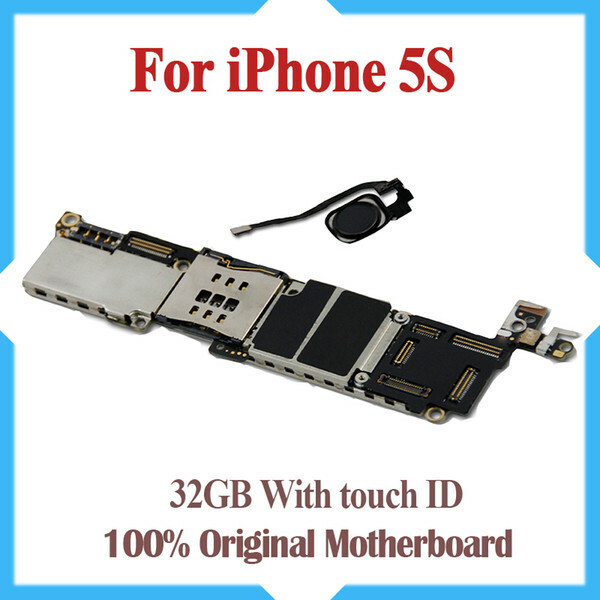 Description : .32GB for iPhone 5s motherboard without Touch ID,100% original unlocked for iphone 5s motherboard with Chips by free Shipping. 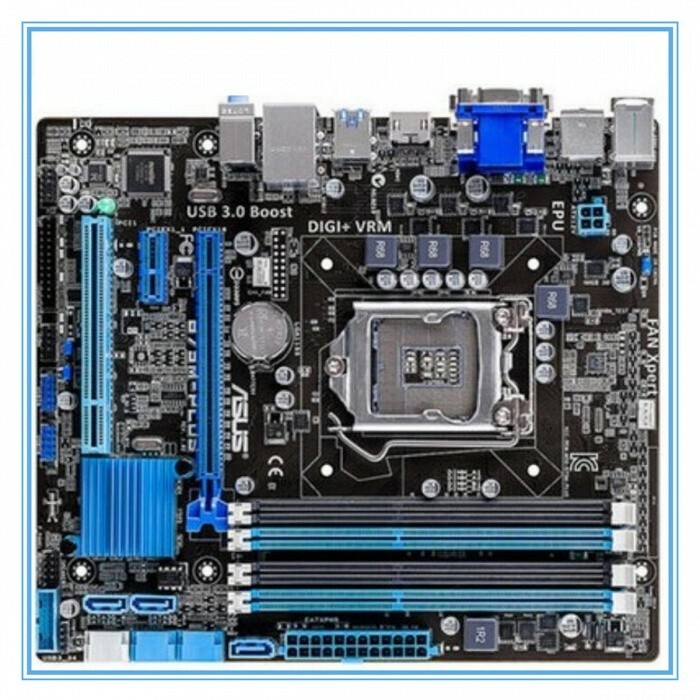 Description : .motherboard logic motherboard for motherboard motherboard.We offer the best wholesale price, quality guarantee, professional e-business service and fast shipping . You will be satisfied with the shopping experience in our store. Look for long term businss with you.. 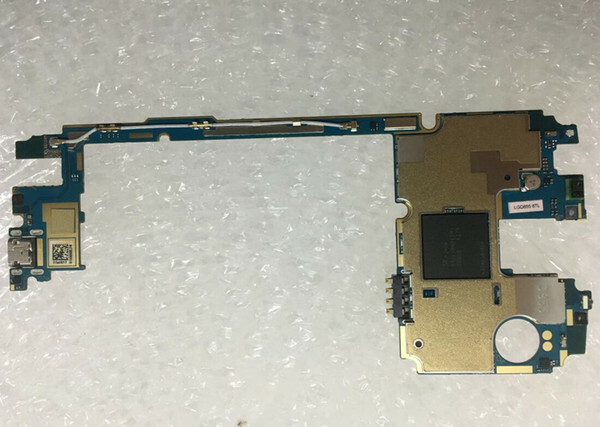 Description : .For LG G3 D855 Mainboard 100 % UNLOCKED ,Original for LG G3 D855 32GB Motherboard 100% Test. Description : .32gb for iPhone 7 Plus Motherboard with Touch ID,Original unlocked for iphone 7 Plus Logic boards with IOS System,Good working. 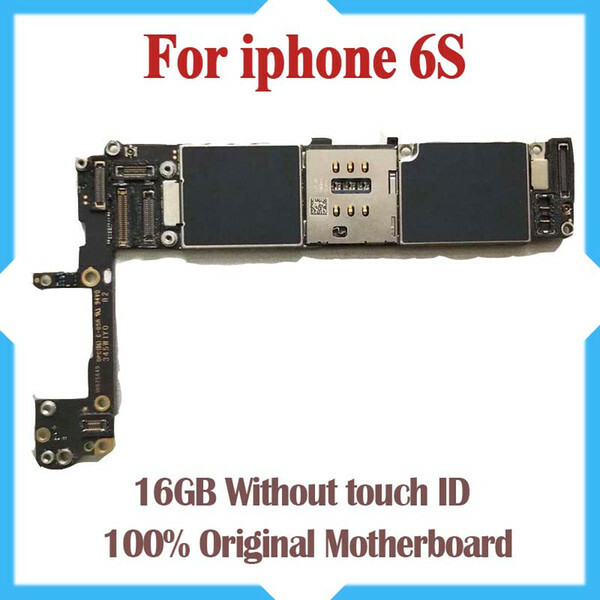 Description : .16GB for iPhone 6s Motherboard,Original Unlocked for iphone 6s Motherboard without Touch ID,100% Test,Good Working,Free Shipping. Description : .64gb for iphone 6s plus mainboard with chips,100% original unlocked for iphone 6s plus motherboard with touch id,good working. 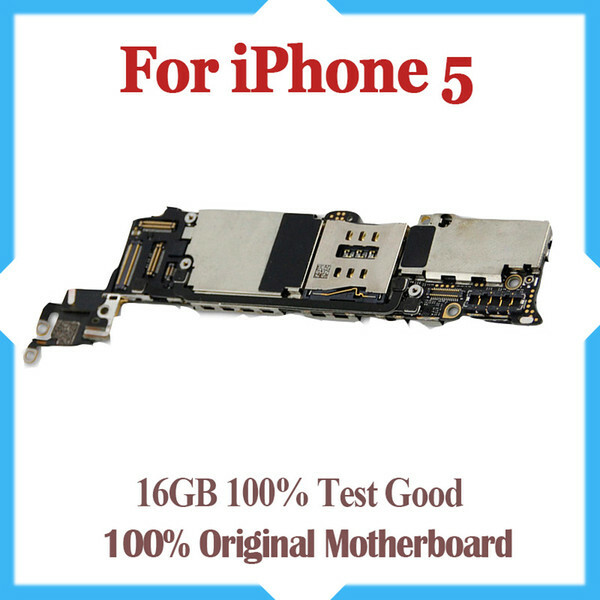 Description : .16GB Original unlocked for iPhone 5 motherboard,100% test for iPhone 5G Mainboard with chips, Free shipping. 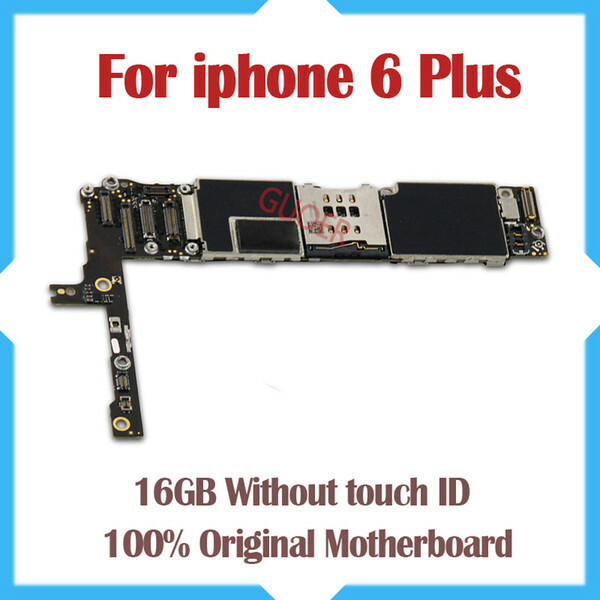 Description : .For iphone 6S Plus 16G 64G Motherboard with Touch ID & Fingerprint,Original Unlocked for iphonbe 6S Plus Logic board,by Free Shipping. 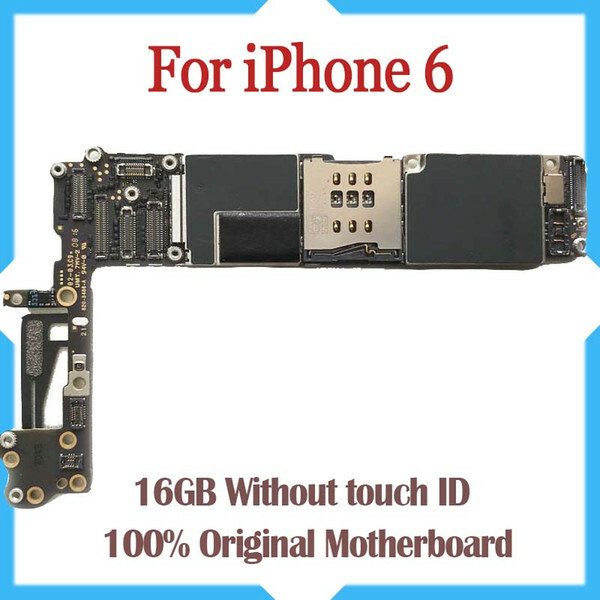 Description : .Tested Good Working Original Factory Unlocked 16GB Motherboard for iPhone 6 4.7inch mainboard Without Touch ID Free Shipping. Description : .64GB 256GB original motherboard for iPhone 8 4.7inch without fingerprint without Touch ID. Description : .For iPhone 6 Plus 64GB 5.5inch Factory Unlocked Mainboard With Touch ID Original IOS Update Support Motherboard 100% Good Tested. 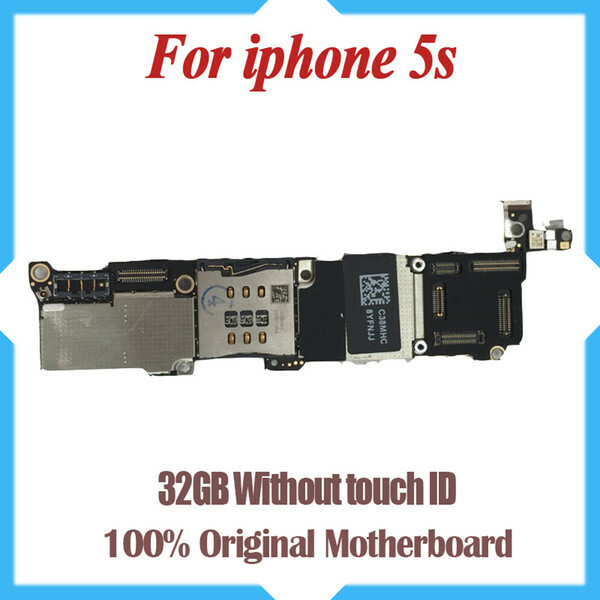 Description : .16GB Unlocked Mainboard For iPhone 5C Motherboard with Chips,100% Full Completely Original,Good Working Free Shipping. Description : .100% Original Unlocked,16GB 5s Mainboard with Touch ID,for iphone 5s Motherboard with Fingerprint Identification,Free Shipping. Description : .64GB Original Unlocked for iPhone 6 Motherboard with Touch ID,Fingerprint Function for iphone 6 Logic Boards. Description : .For iPhone 7 Plus 5.5inch Original Motherboard 128GB Factory Unlocked Mainboard No Touch ID IOS Update Support Free Shipping. 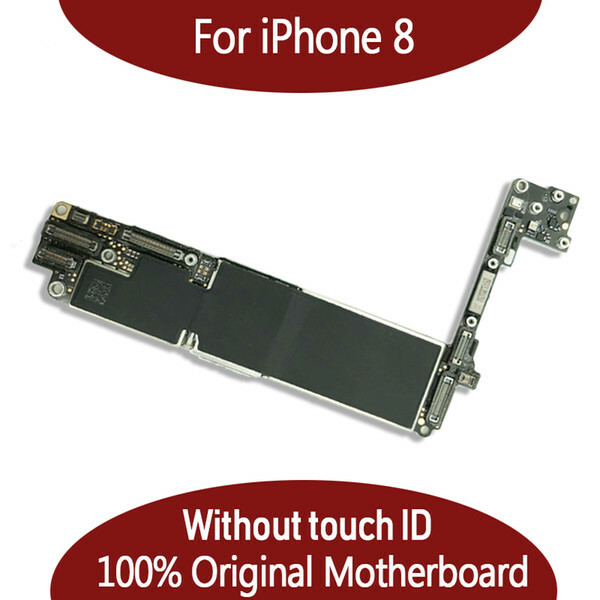 Description : .For IPhone 6 6G Motherboard 16GB 64GB Logic Board. 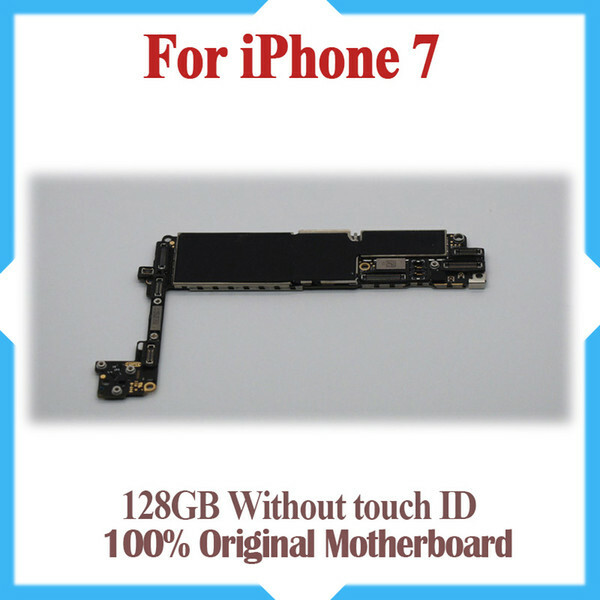 Description : .128GB for iPhone 7 Motherboard without Touch ID,100% Original unlocked for iphone 7 Mainboard with IOS System,Free Shipping. 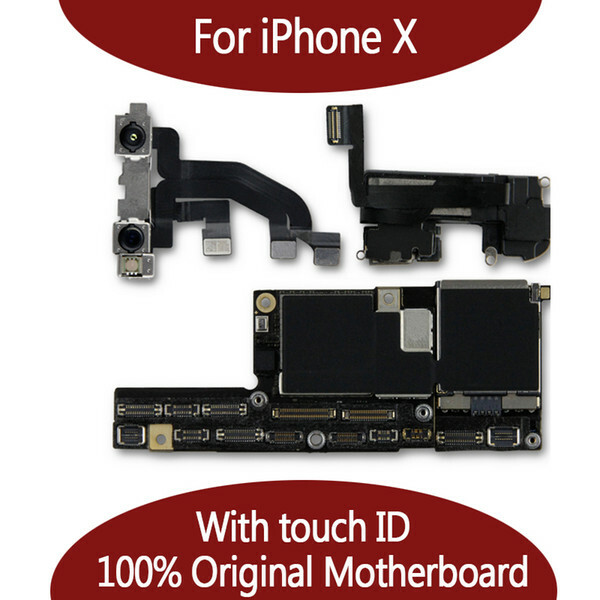 Description : .For iPhone X 10 100% Unlocked Original Motherboard With Face ID. 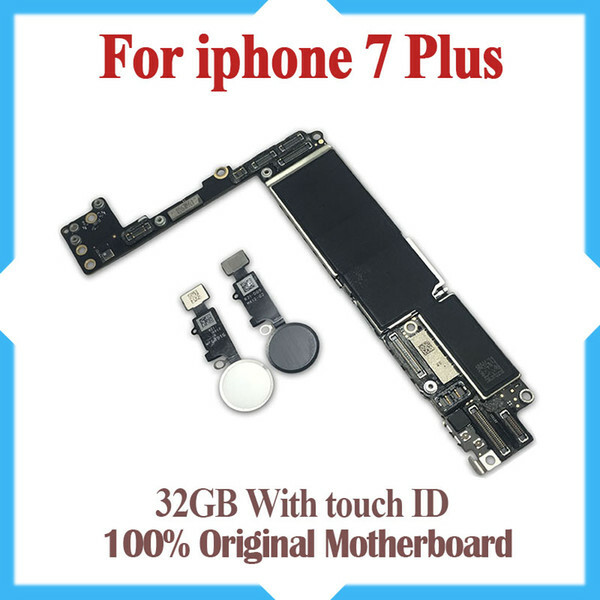 Description : .Free Shipping Motherboard For iPhone 7 4.7inch 128GB With Touch ID IOS Update Support Original Factory Unlocked Mainboard Good Tested. Description : .100% Good Working,16gb Original Unlocked for iphone 6 plus Motherboard without Fingerprint Function by free Shipping. 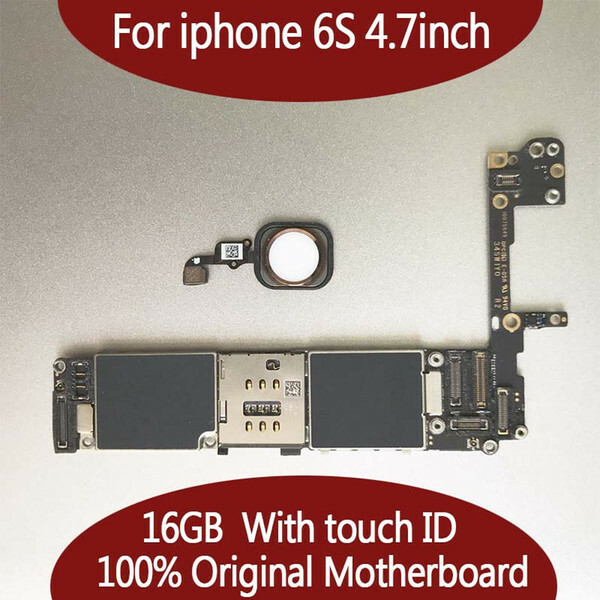 Description : .16GB Original Unlocked for iPhone 6 Motherboard with Touch ID,Fingerprint Idetification Function for iPhone 6 Logic Boards. 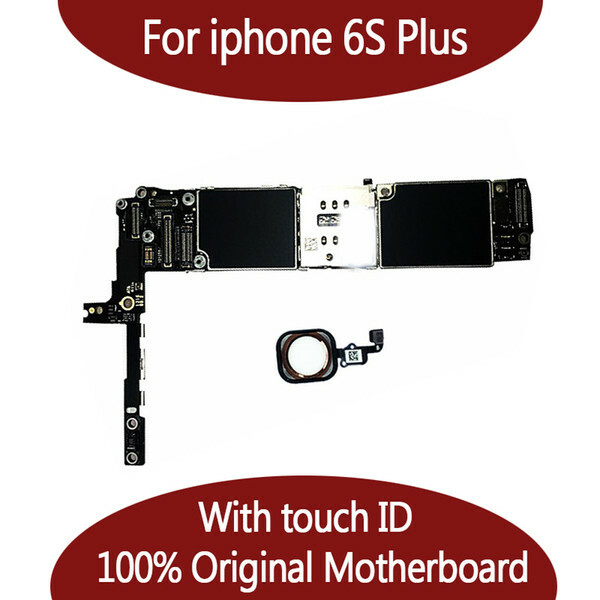 Description : .For iphone 5S 16G 32G Motherboard with Touch ID & Fingerprint. 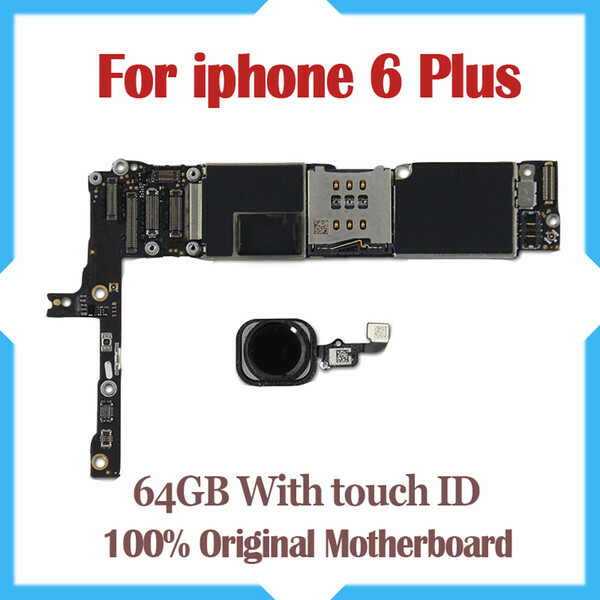 Description : .for iphone 6S 16G 64G Motherboard with Touch ID & Fingerprint. 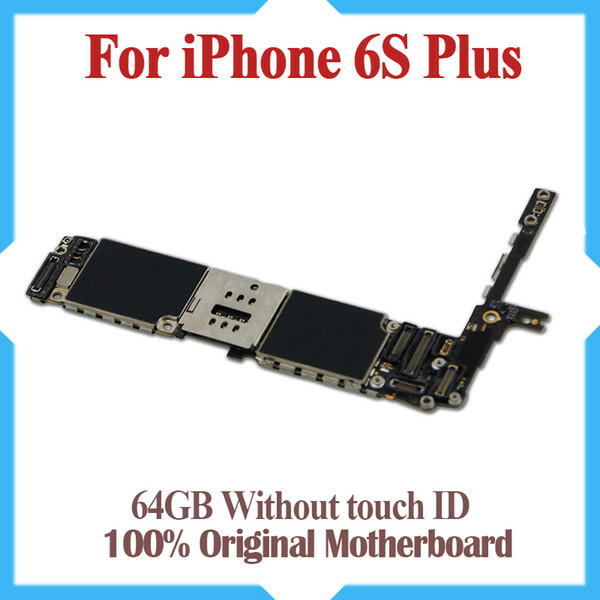 Description : .64gb for iphone 6s plus mainboard with chips,100% original unlocked for iphone 6s plus motherboard without touch id,good working. 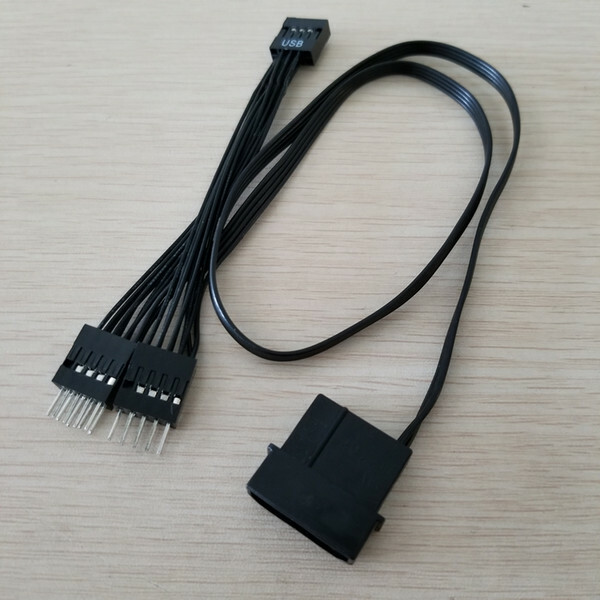 Description : .Features: 100% Brand New USB 2.0 9-pin motherboard extend two usb A female interface compatible USB1.1 Package Including: 1 x 9Pin to 2 Port USB PCB Board.. 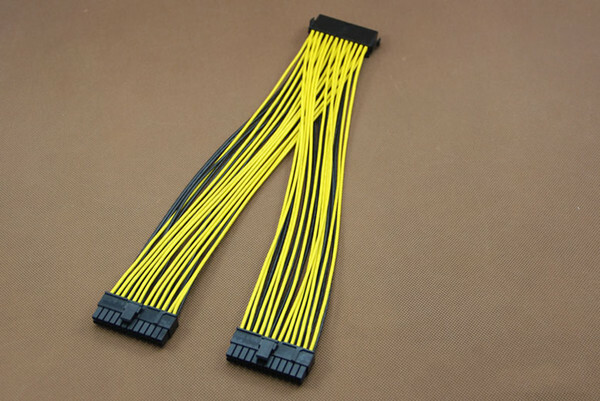 Description : .Feature: Cable Length:50cm+10cm Cable Specification:24AWG Color:Black Gender:Female to Male Product Weight:16g/pcs Fitment: For PC Motherboard with 9Pin. 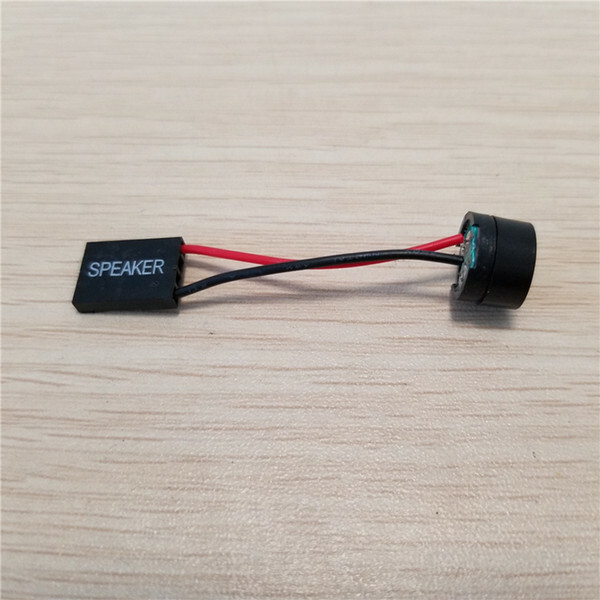 Description : .SPEAKER for Motherboard 100% Brand New and High quality! Color:Blanck & Red Mixed. 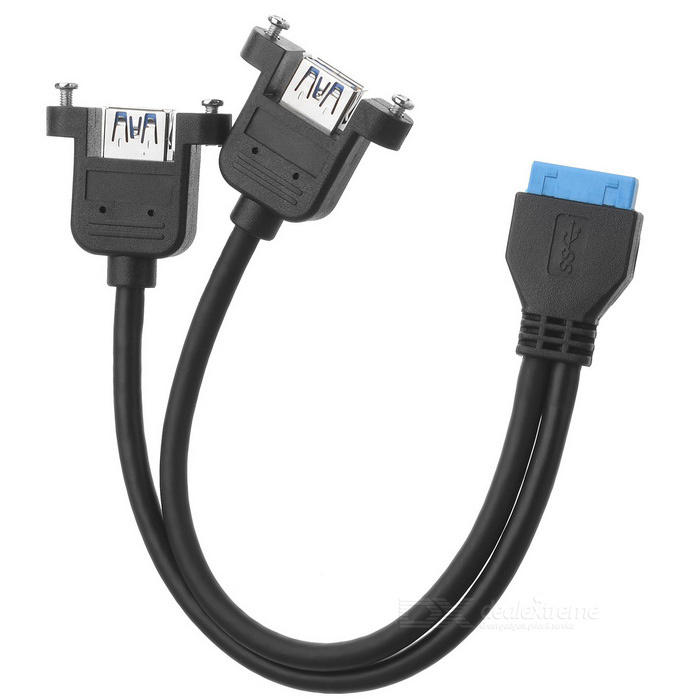 Description : .Computer Case Motherboard 4pin to Usb Female Cable with Screw Panel. 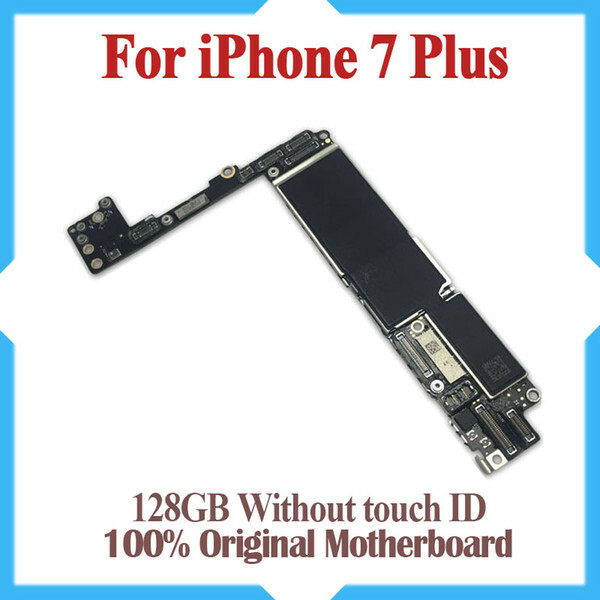 Description : .For iPhone 7 Plus 128G Motherboard without Touch ID & NoFingerprint,Original Unlocked Logic board by Free Shipping. 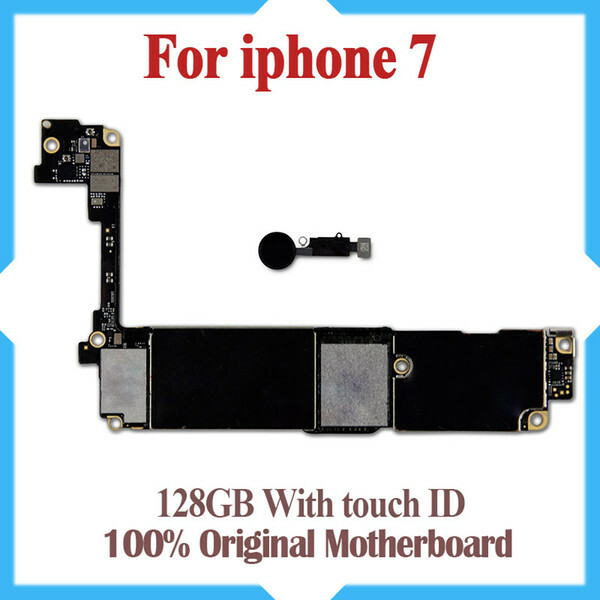 Description : .For iPhone 7 32GB 128GB Motherboard with Touch ID & Fingerprint,Original Unlocked Logic board Free Shipping. 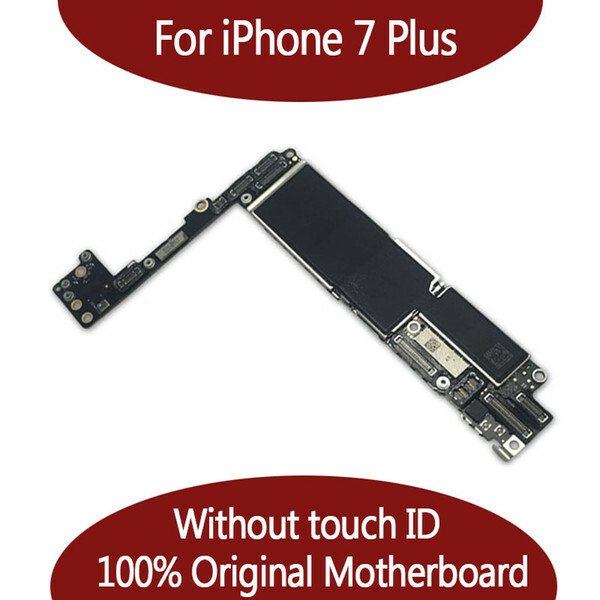 Description : .For iPhone 7 Plus 128G Motherboard with Touch ID & Fingerprint,Original Unlocked Logic board by Free Shipping.